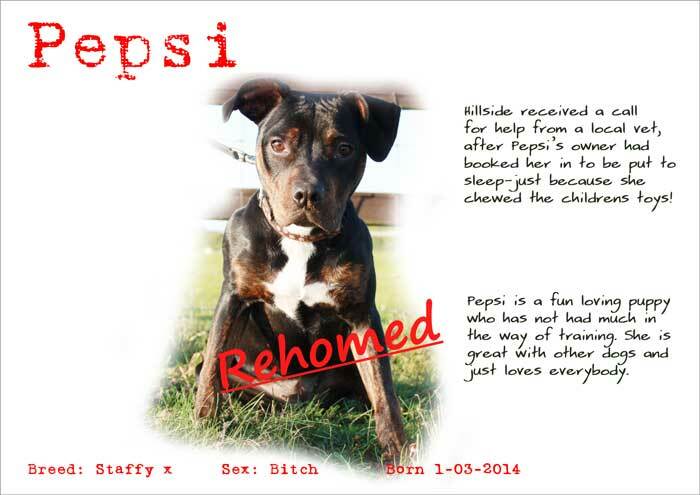 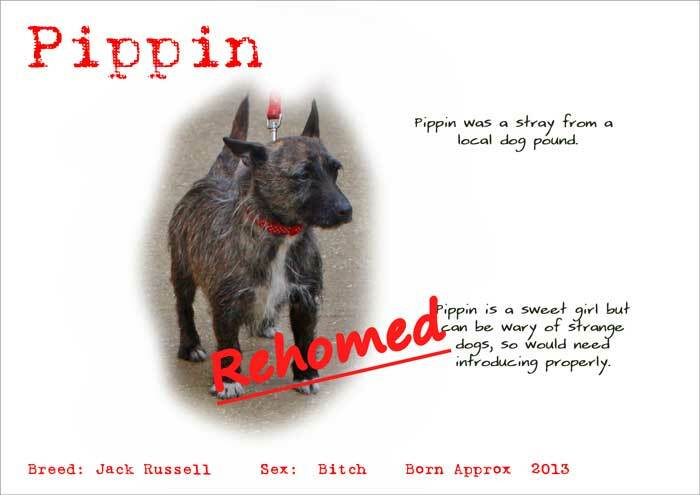 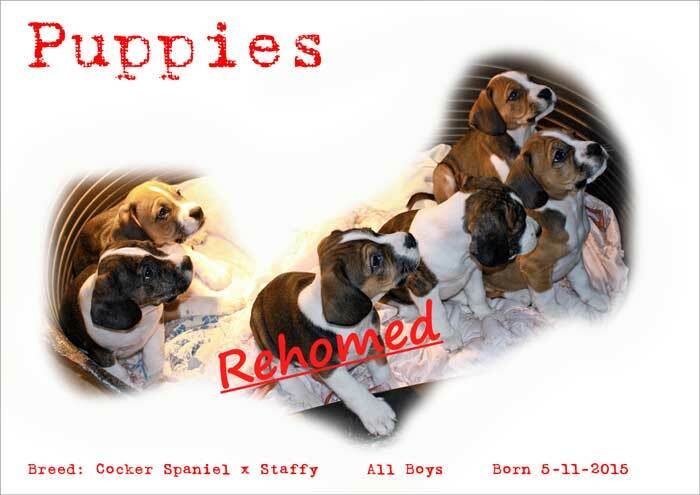 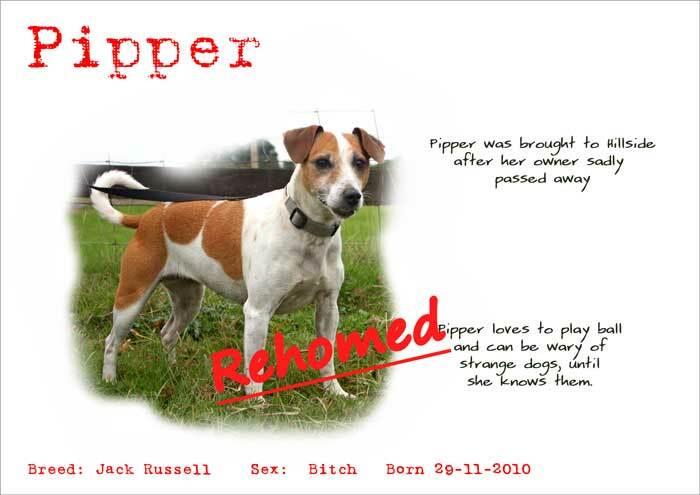 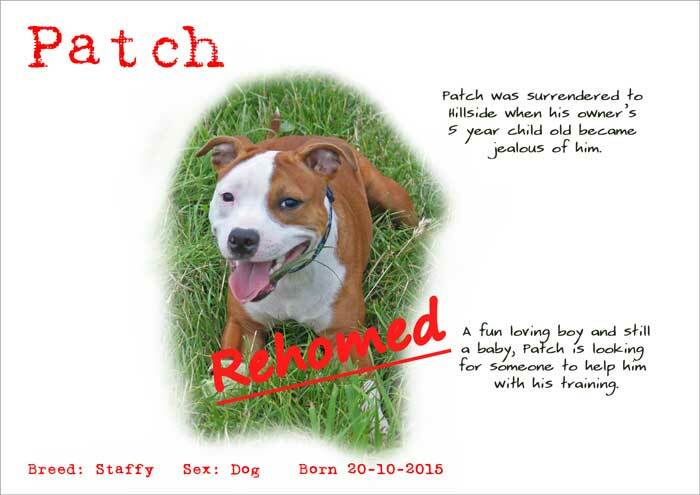 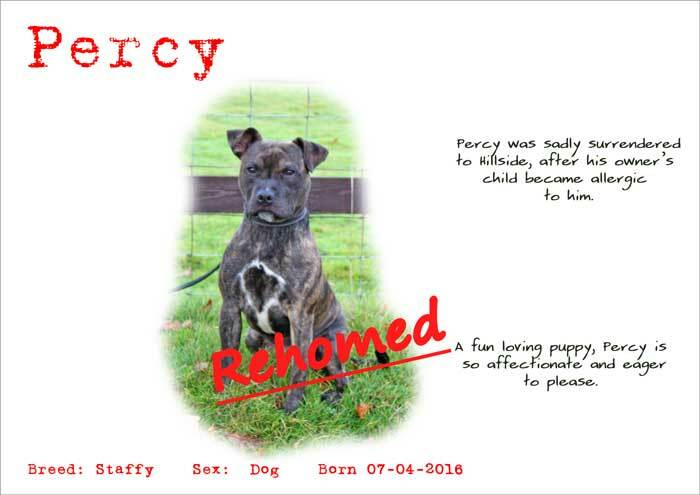 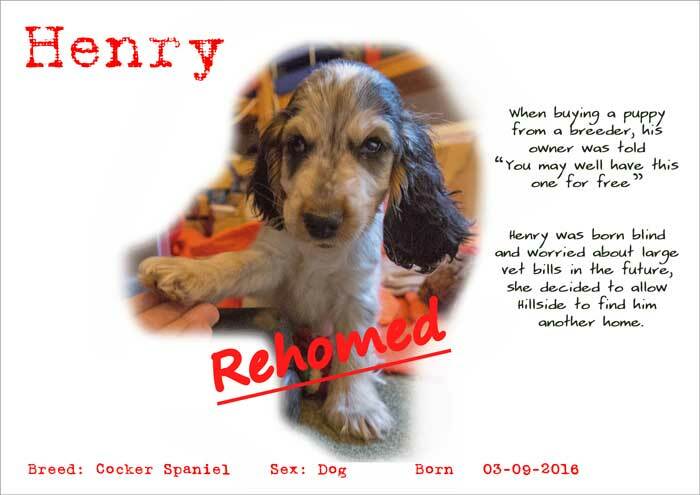 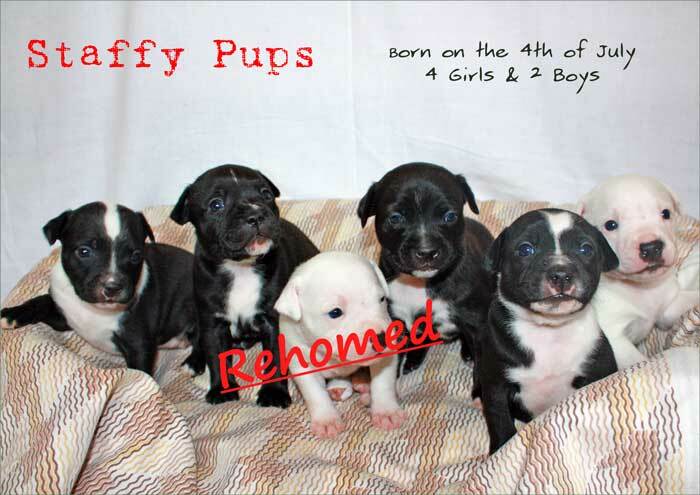 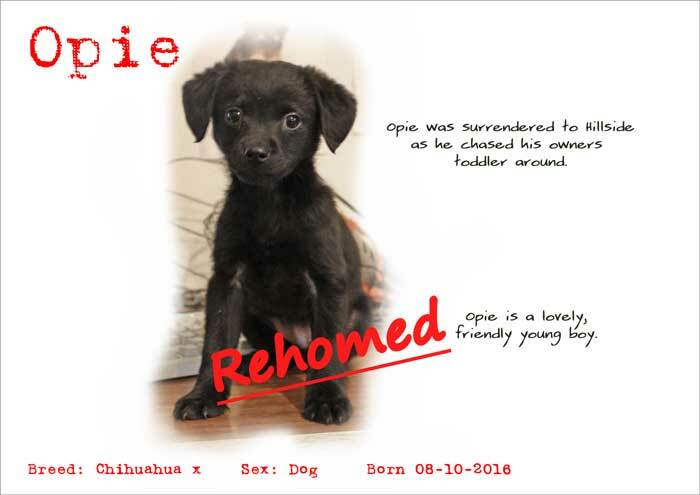 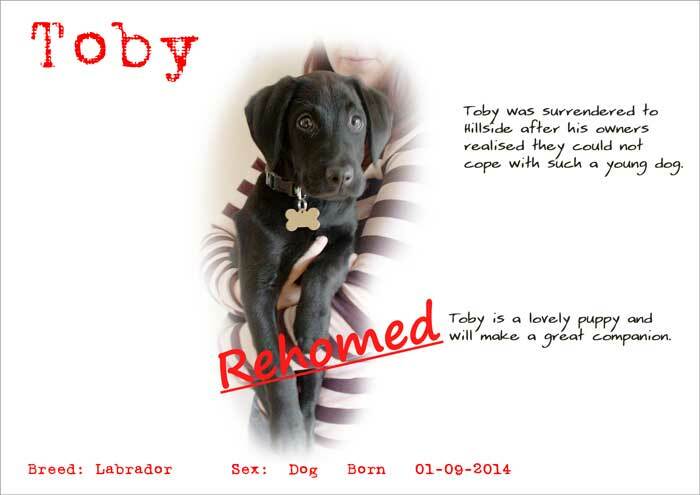 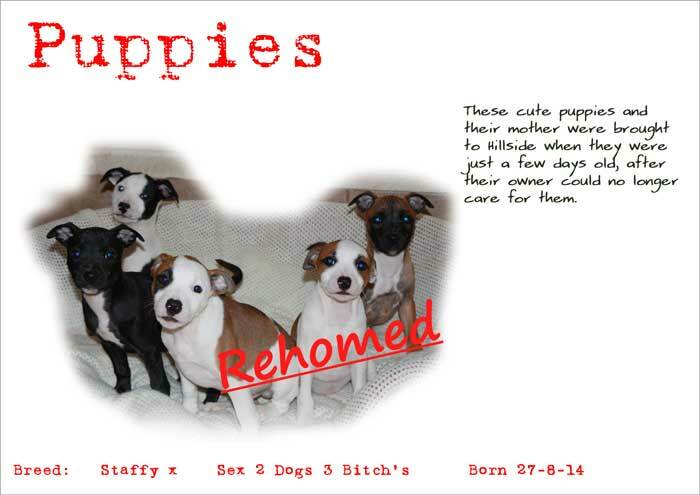 Puppies can be re-homed with families providing any children are over 10 years old. 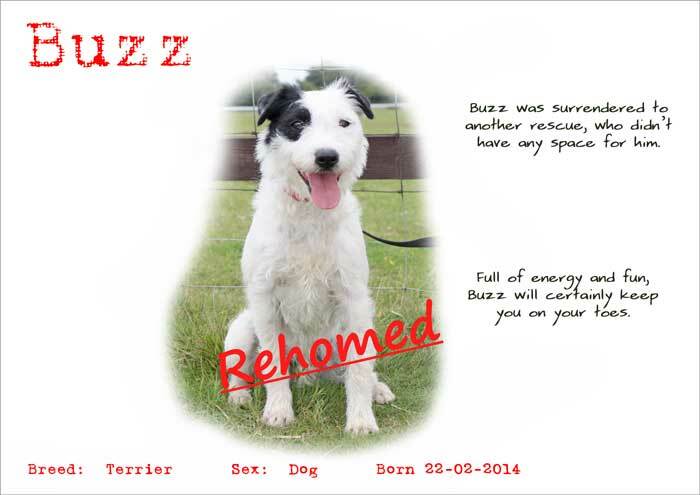 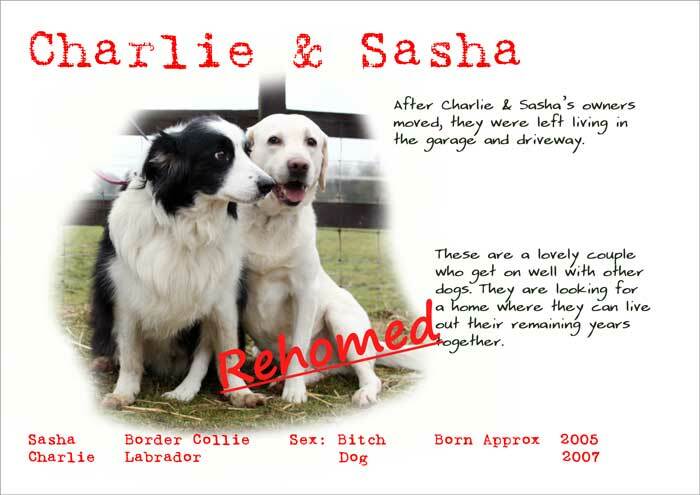 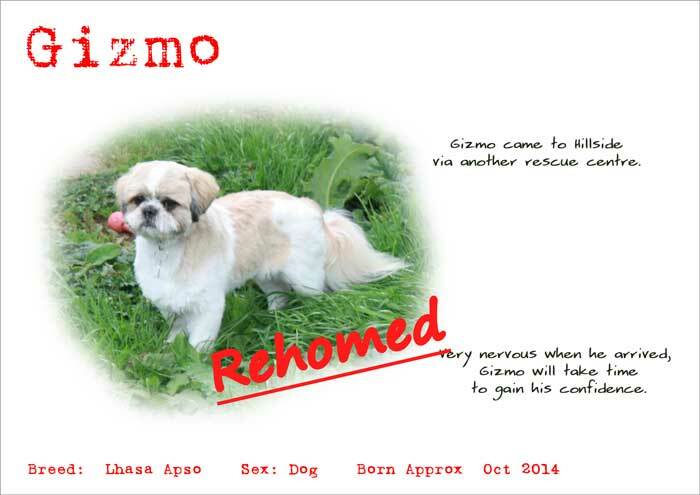 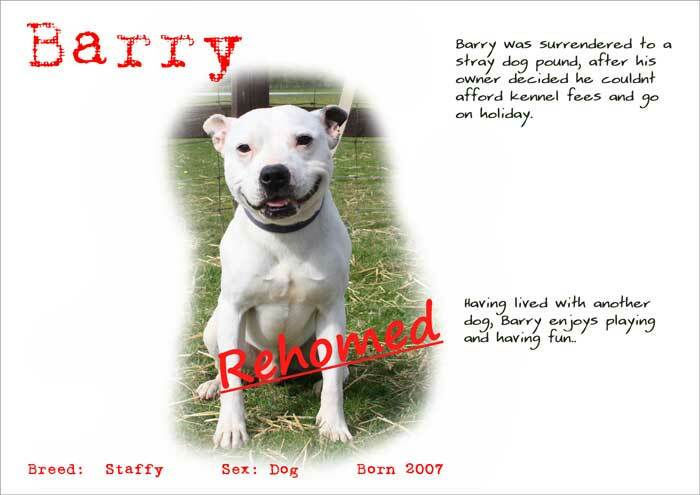 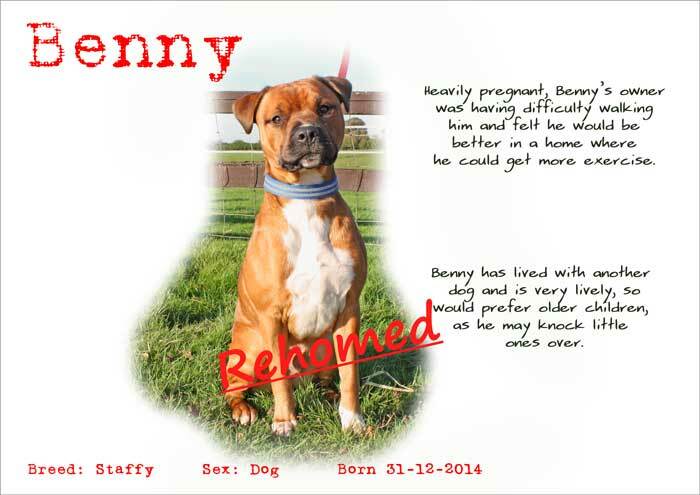 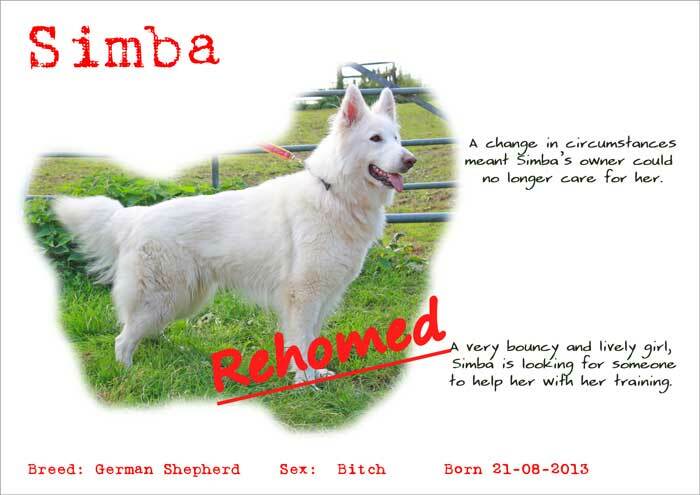 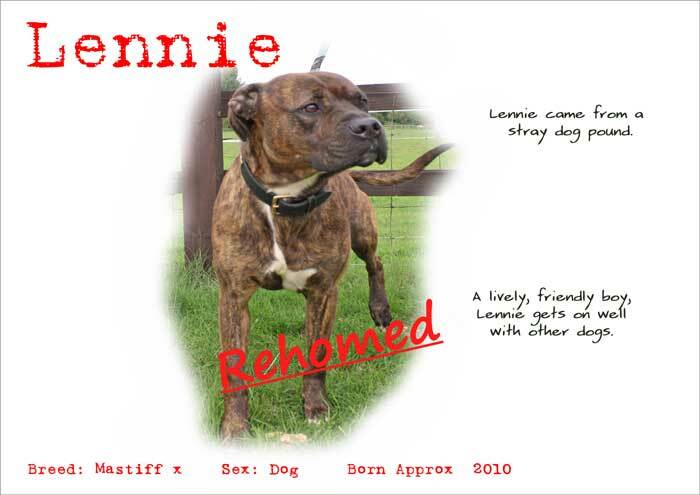 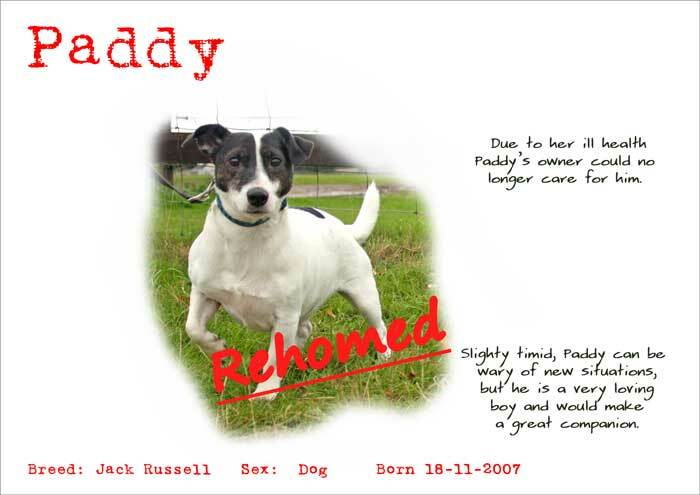 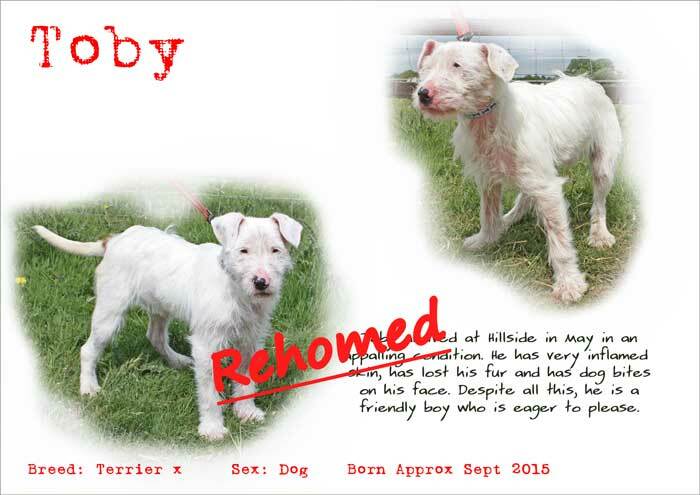 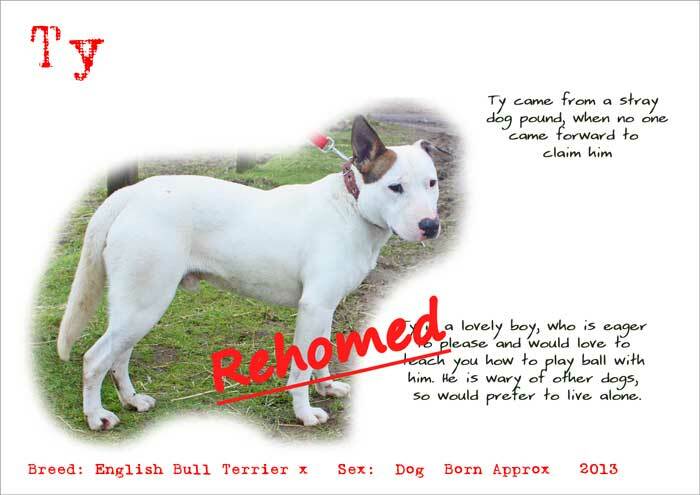 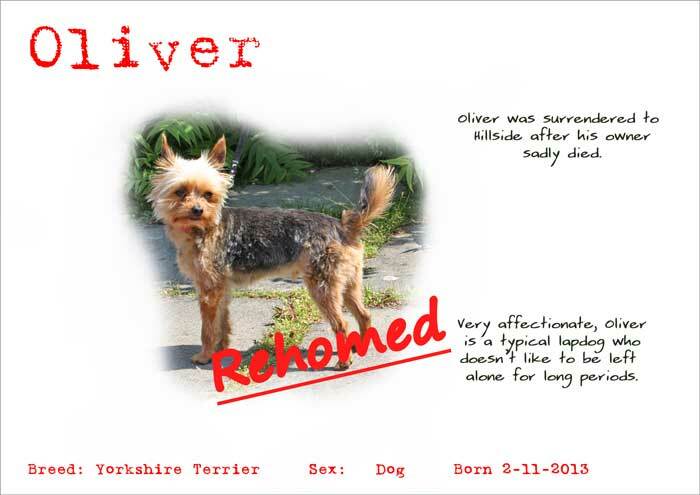 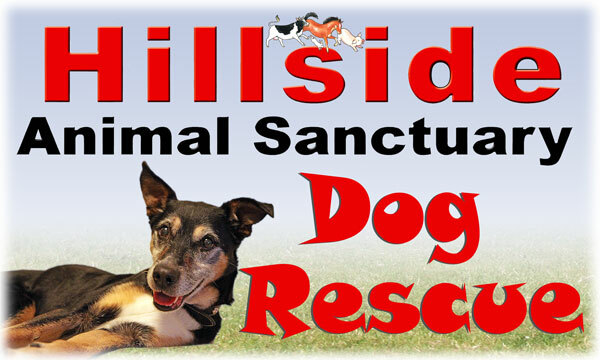 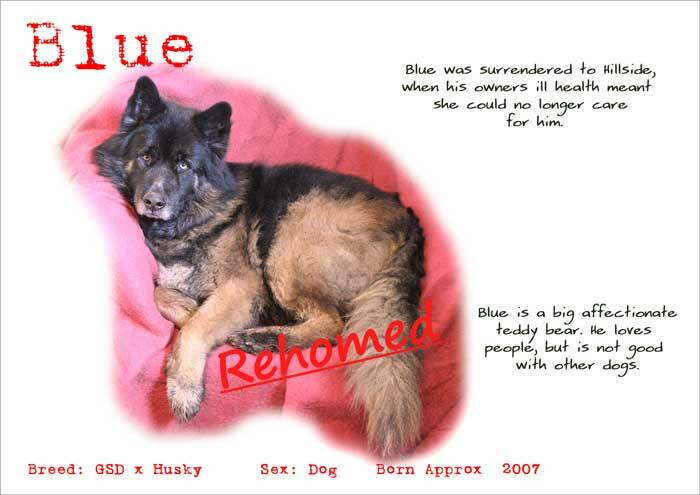 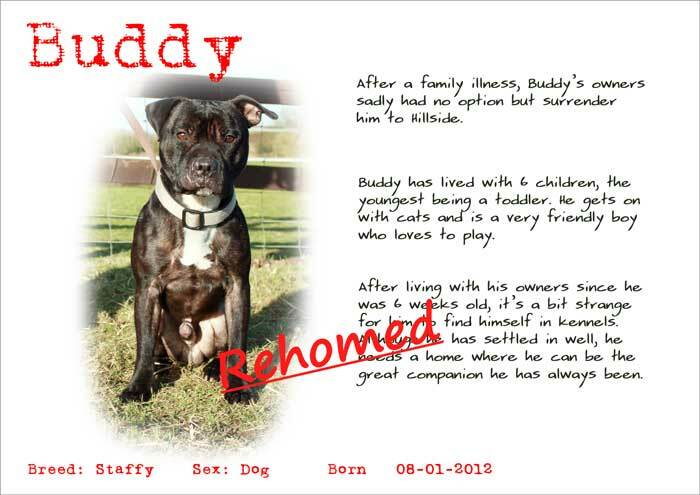 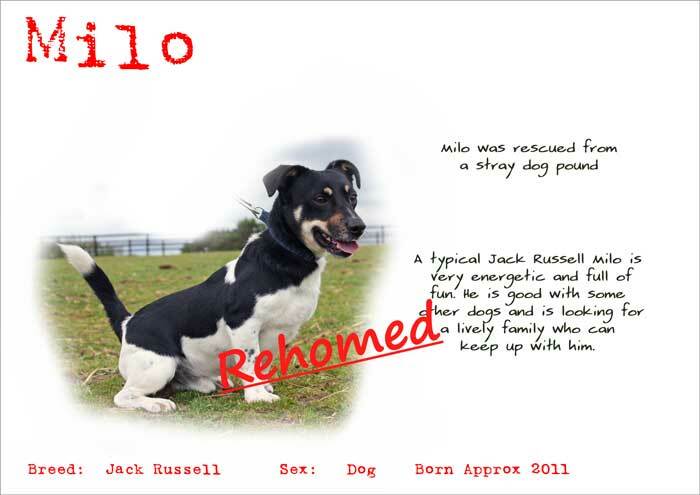 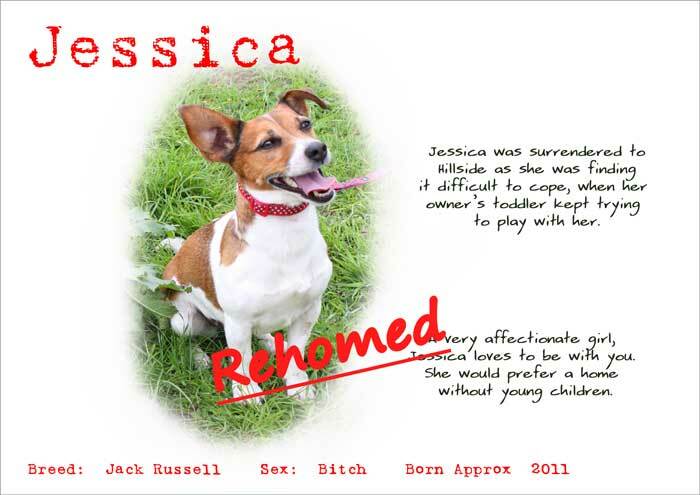 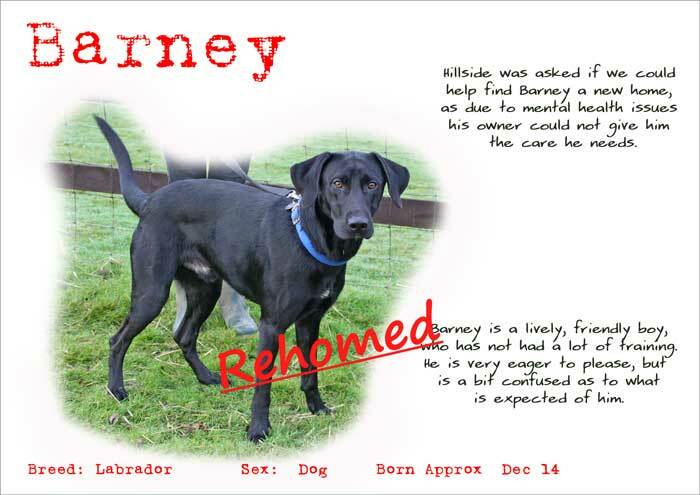 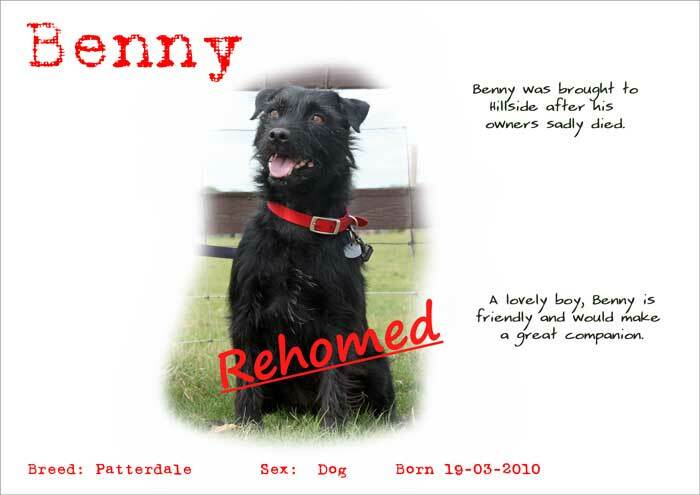 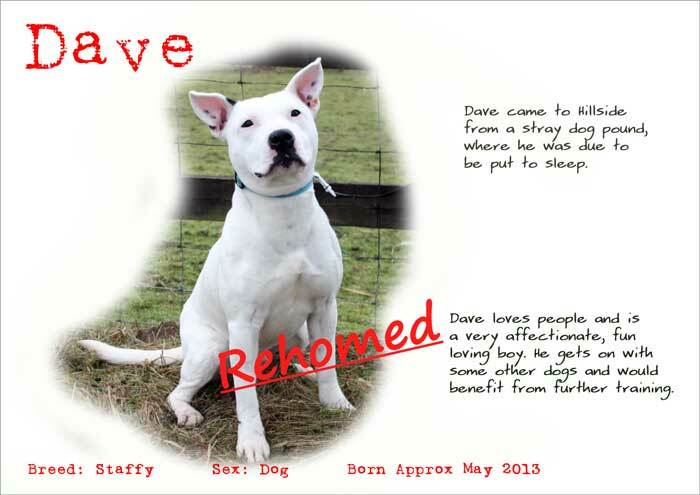 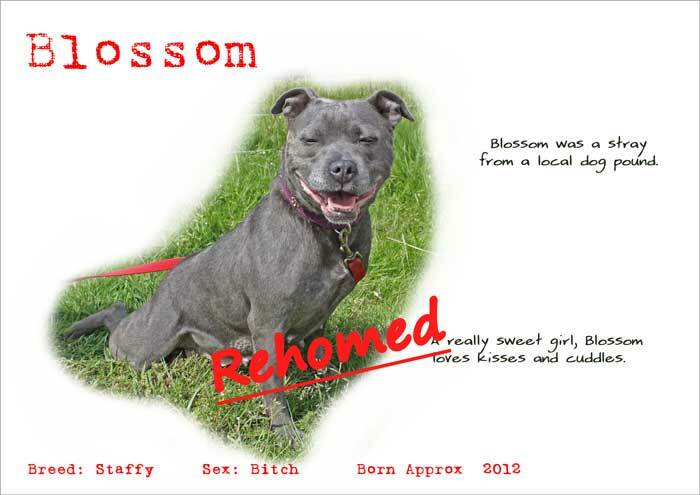 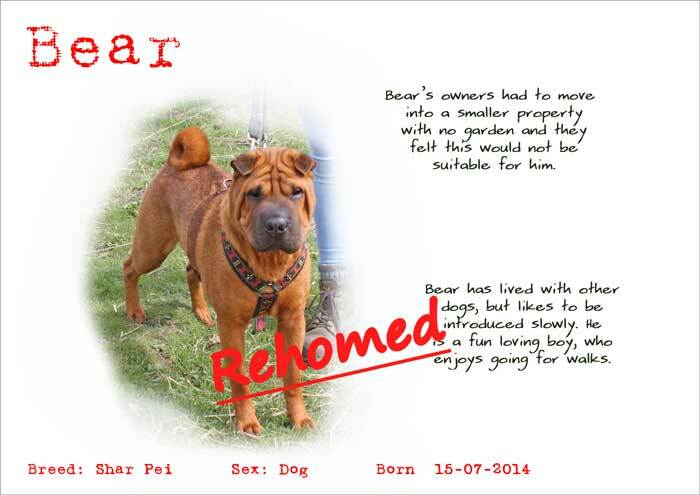 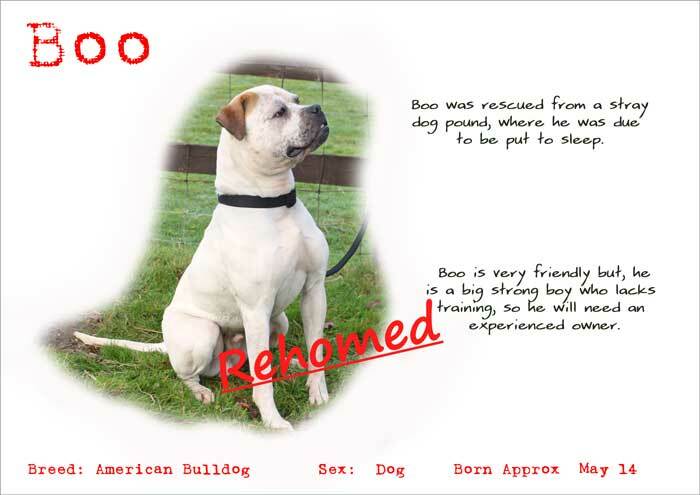 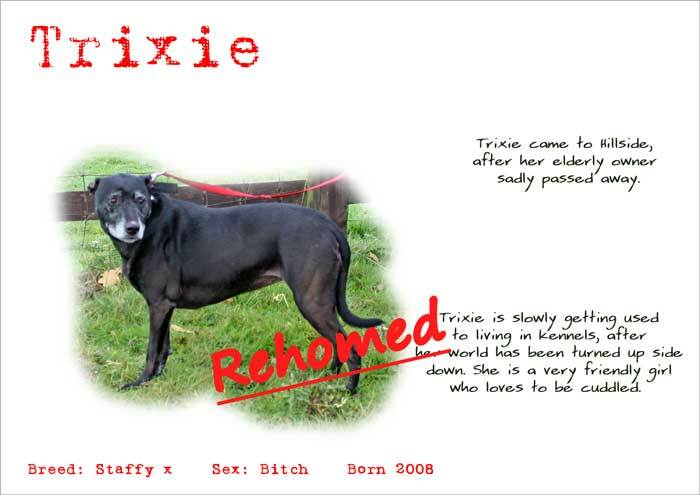 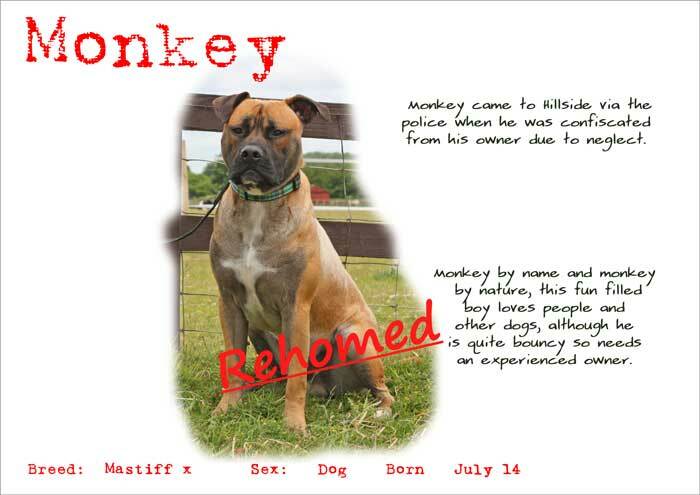 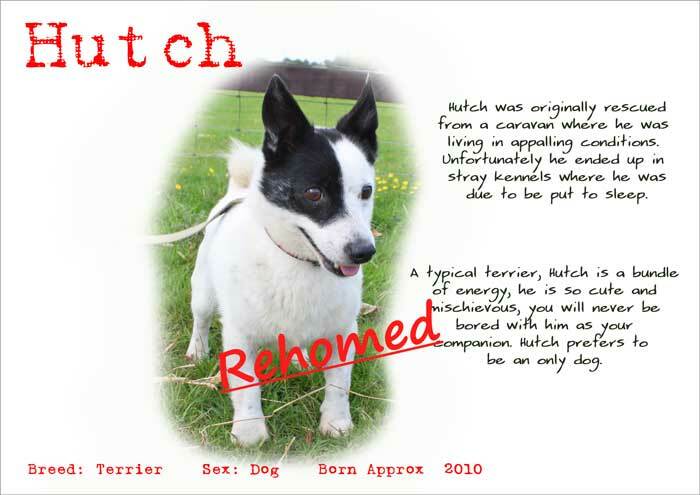 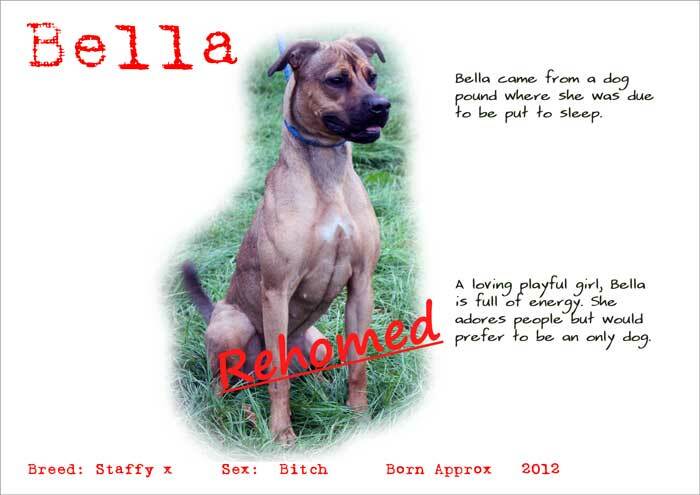 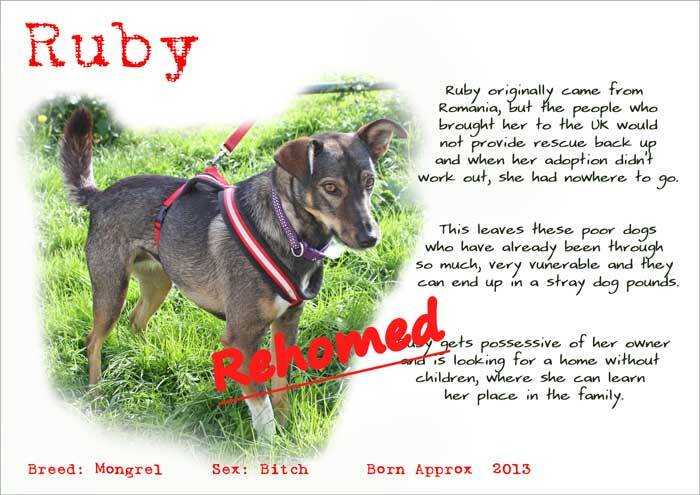 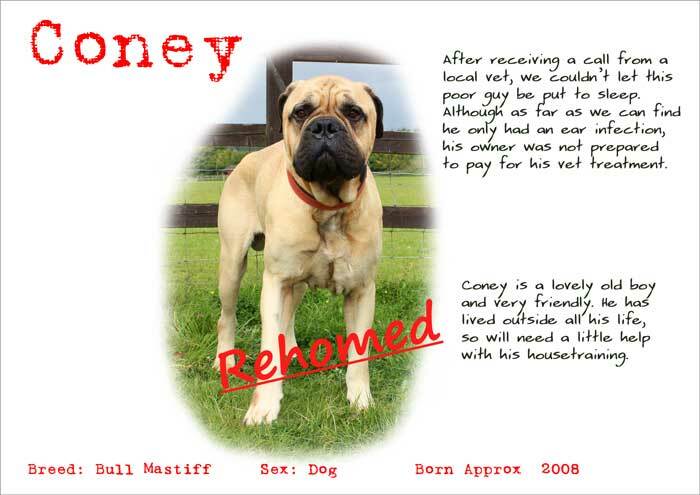 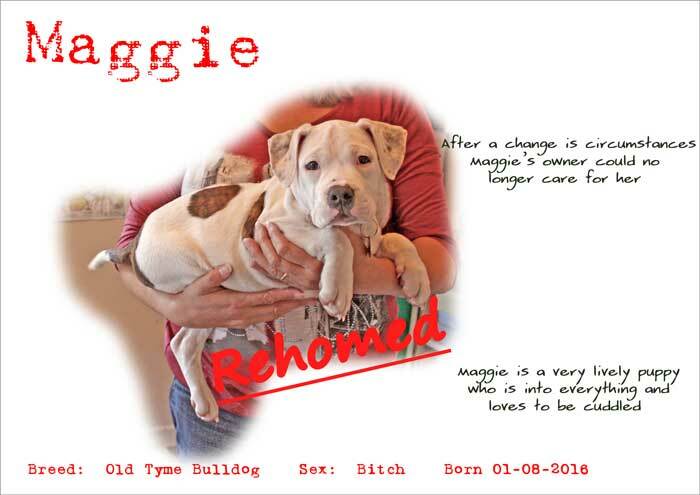 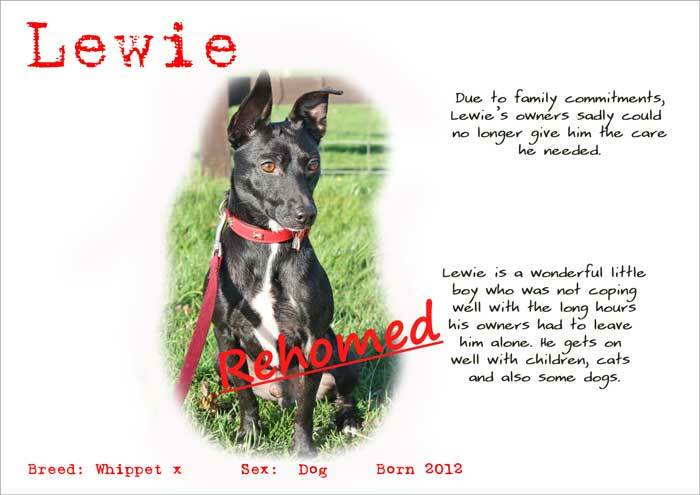 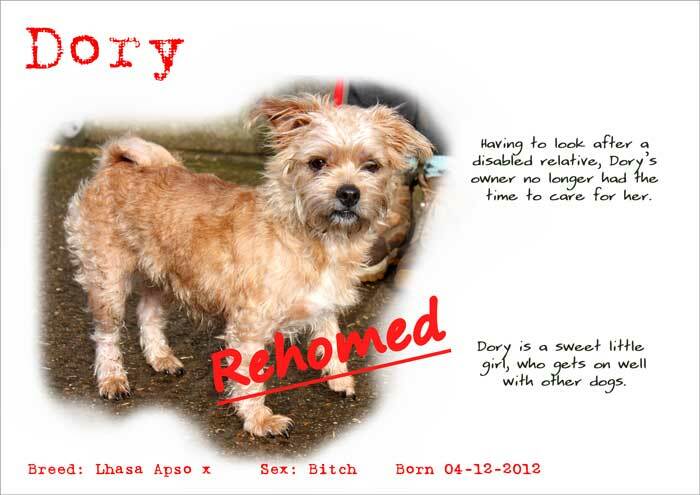 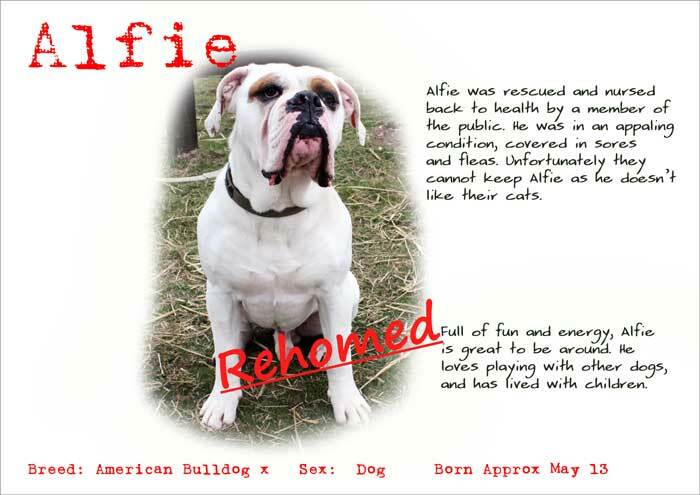 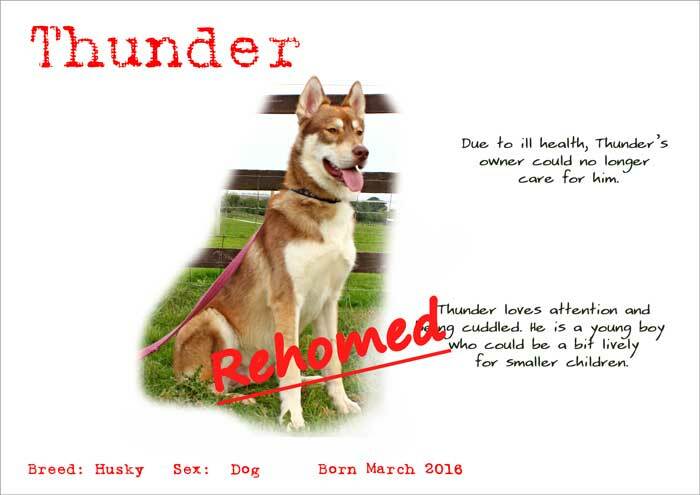 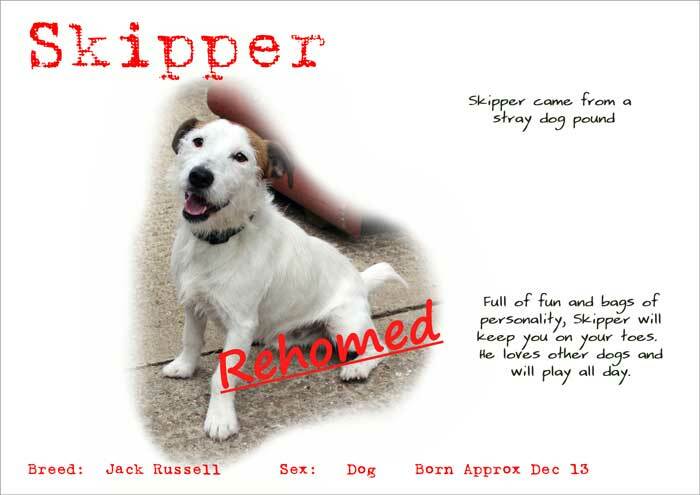 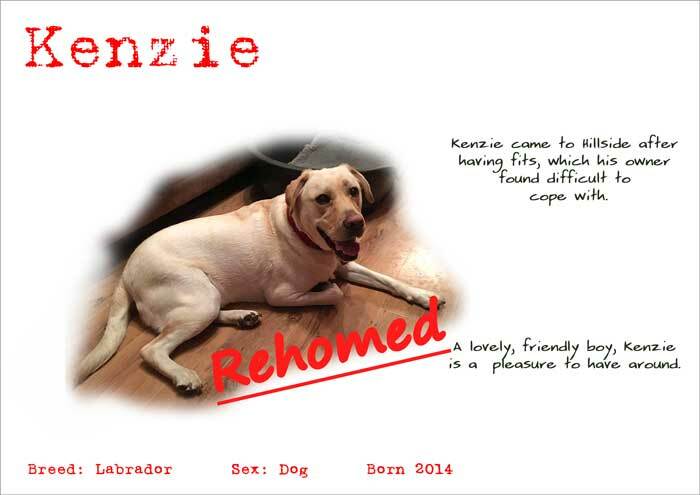 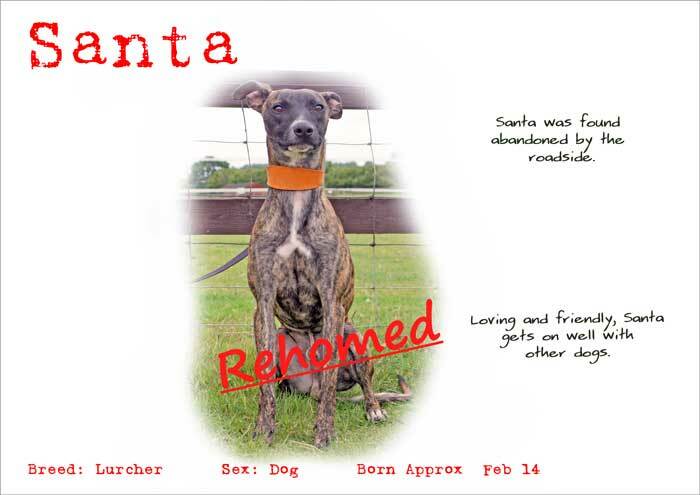 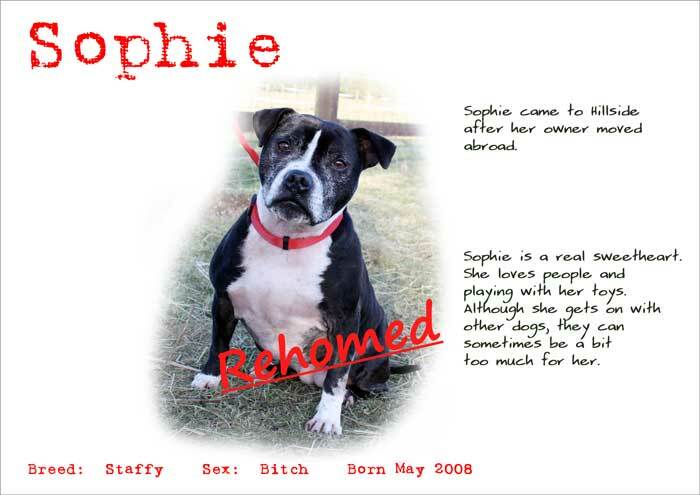 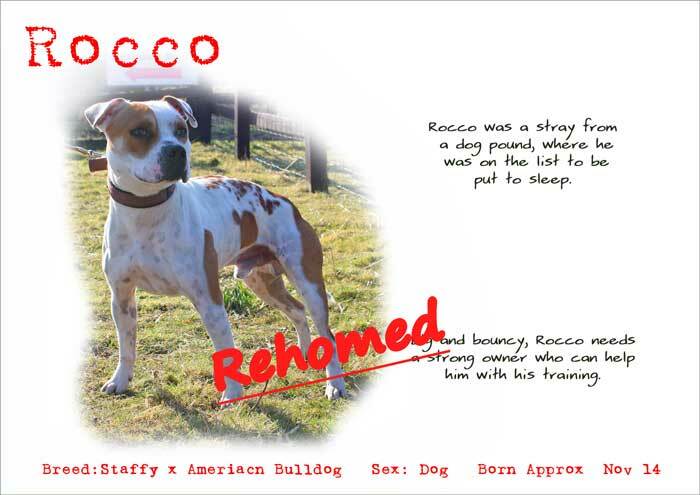 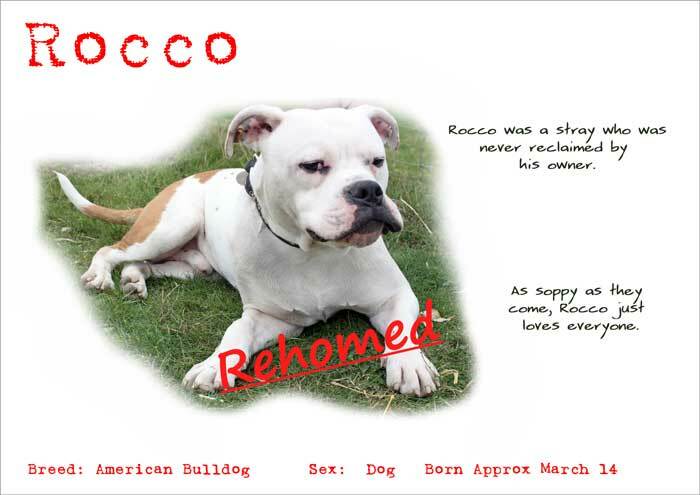 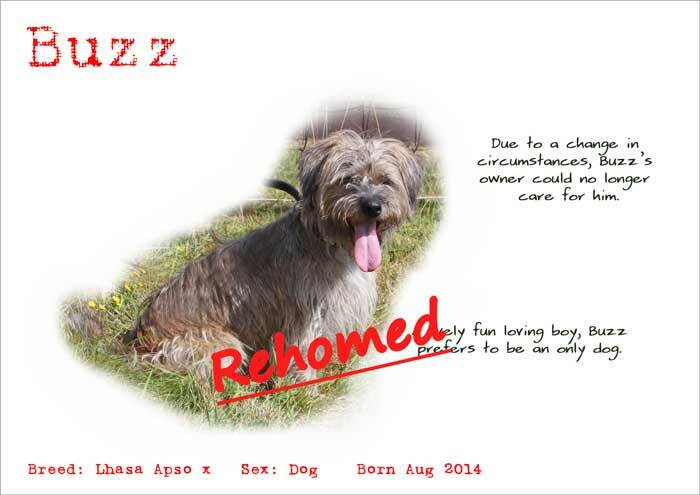 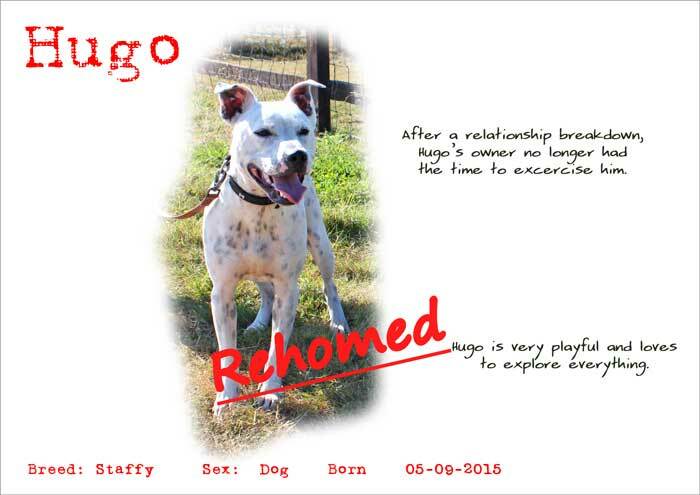 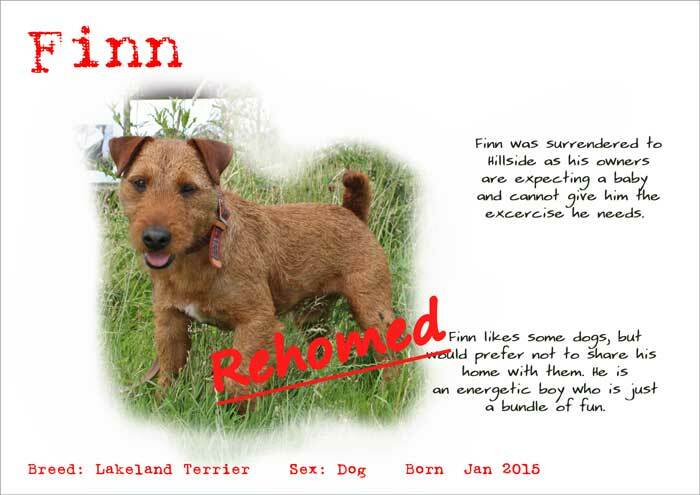 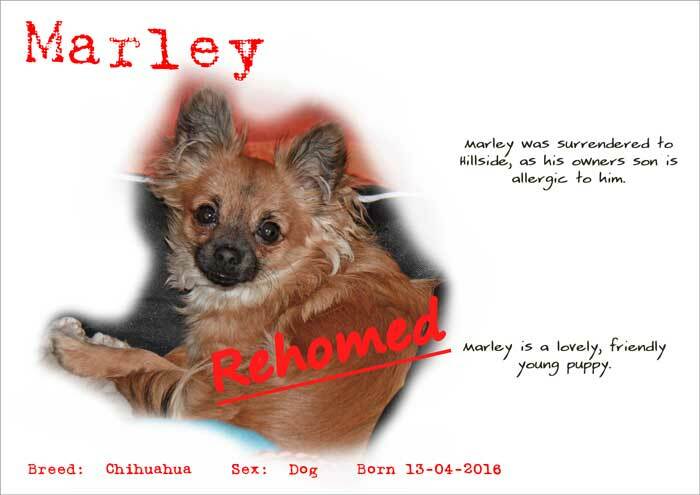 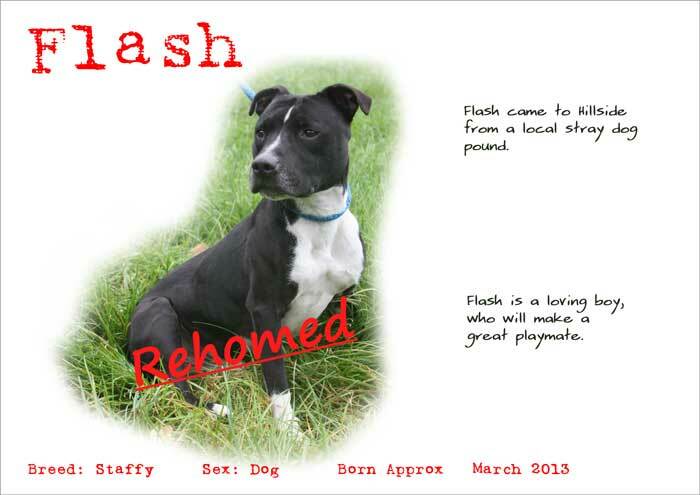 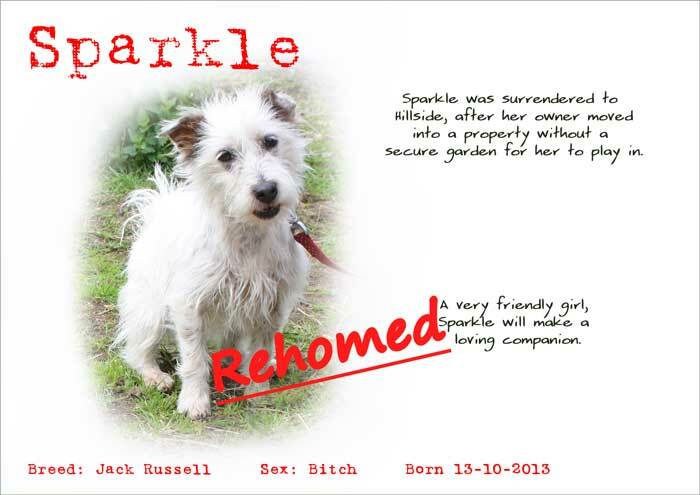 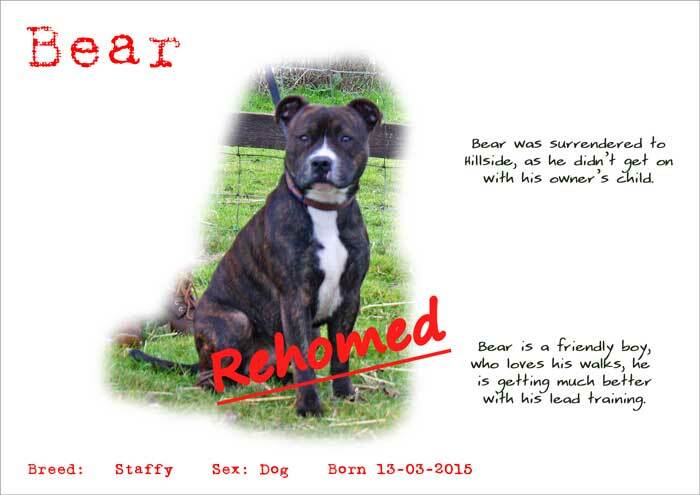 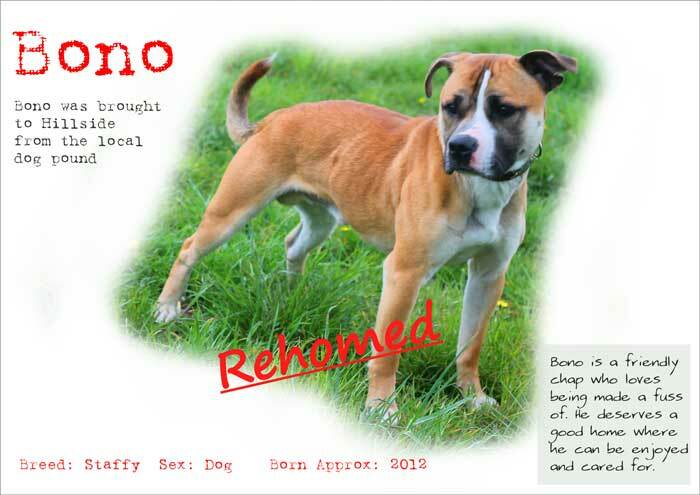 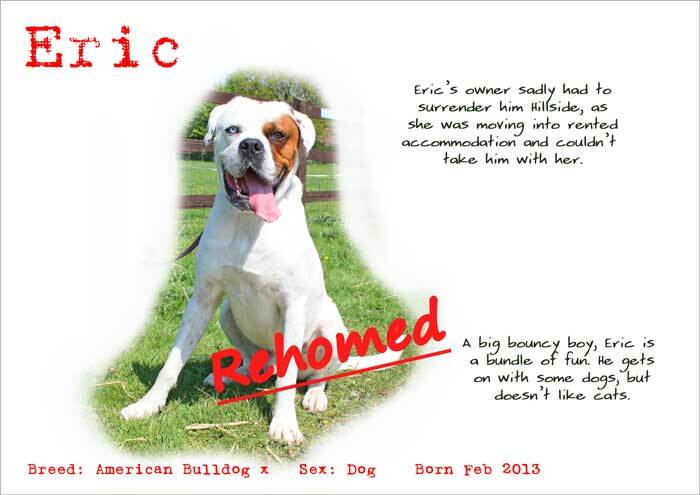 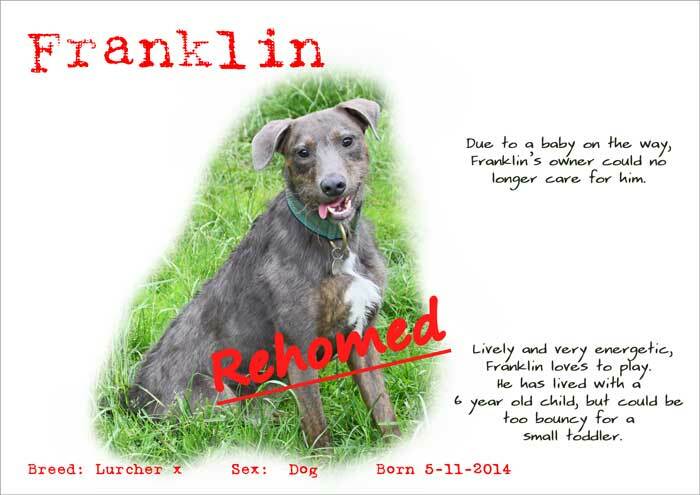 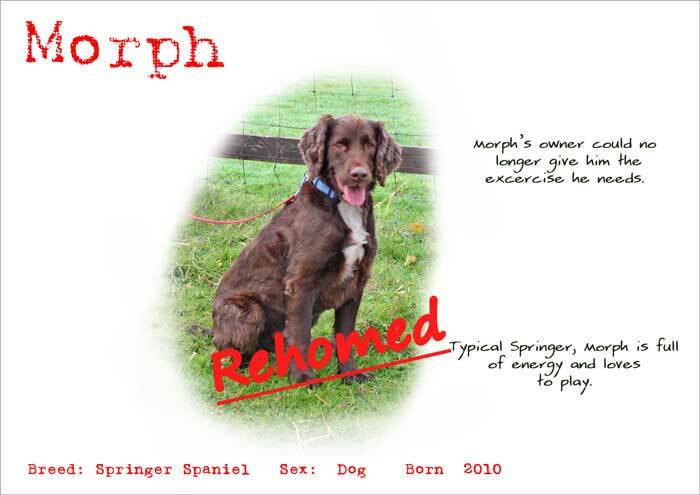 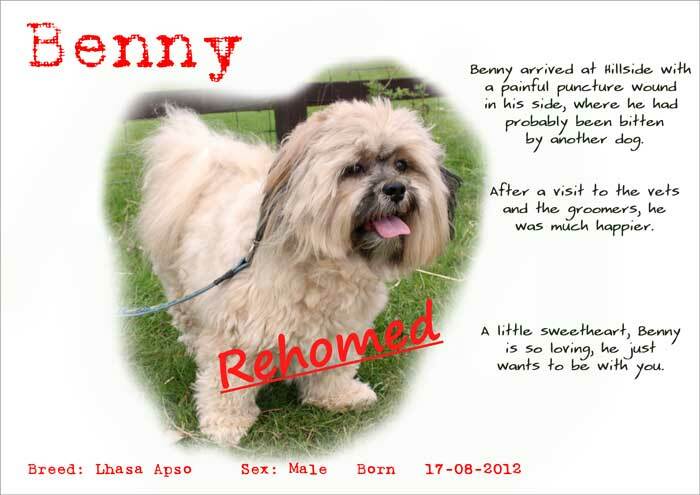 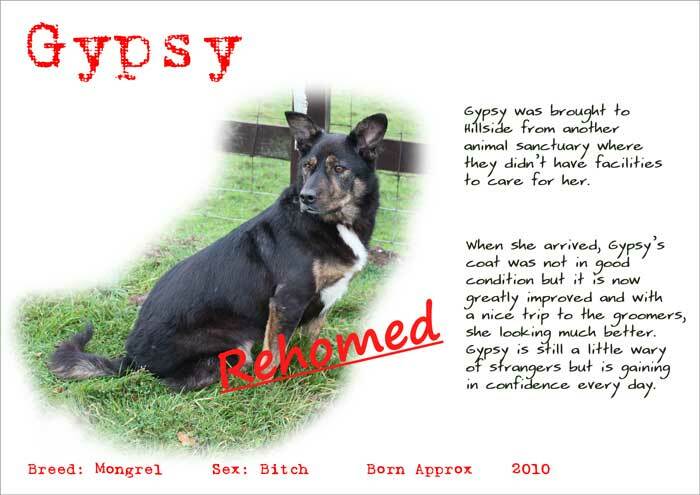 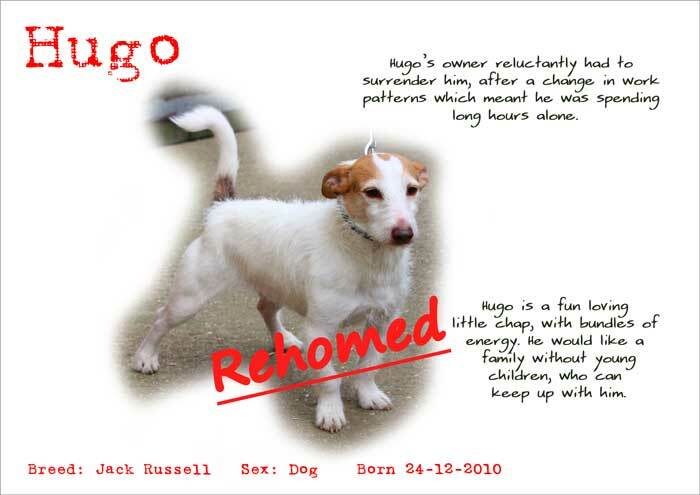 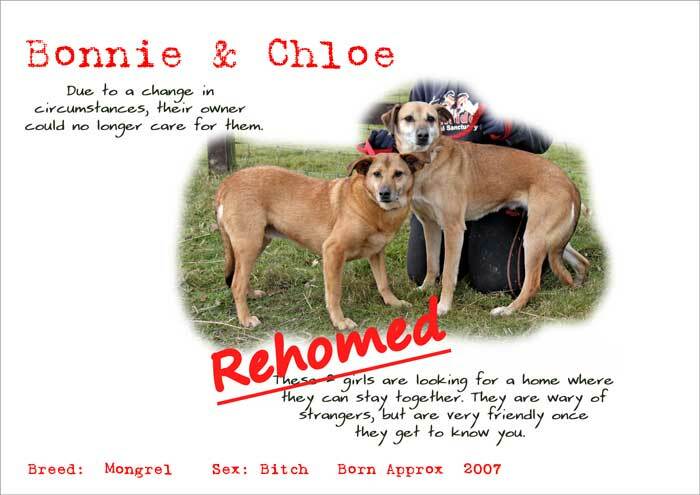 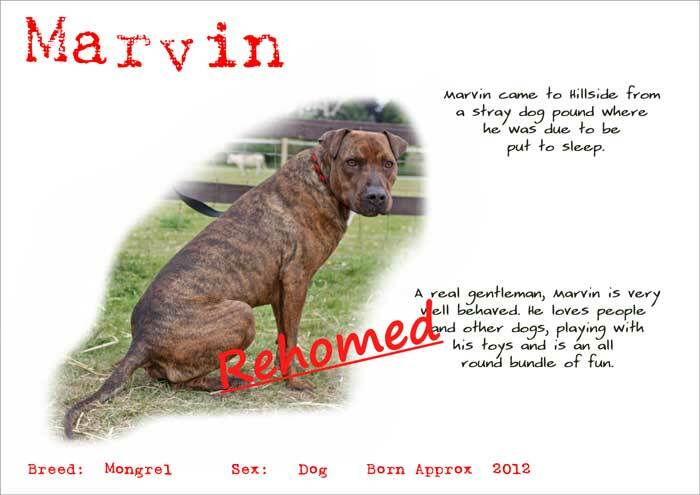 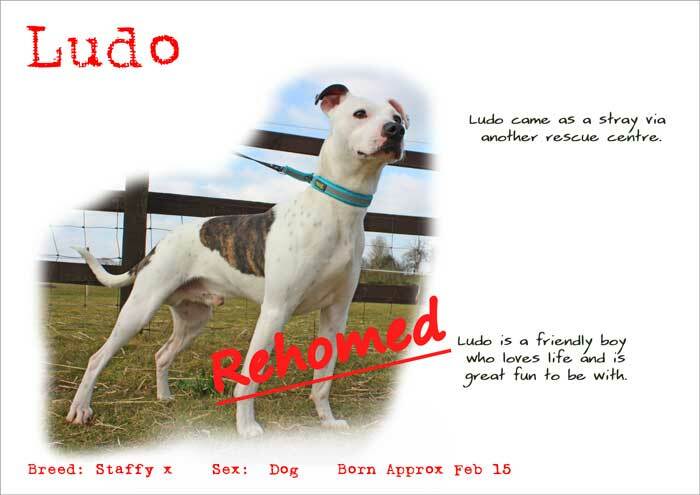 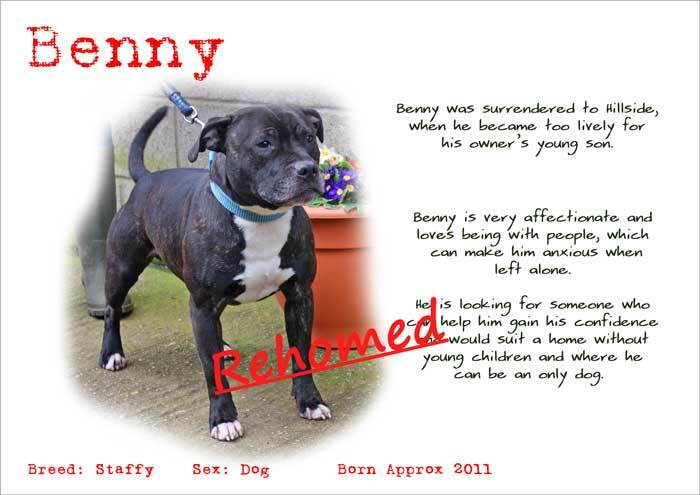 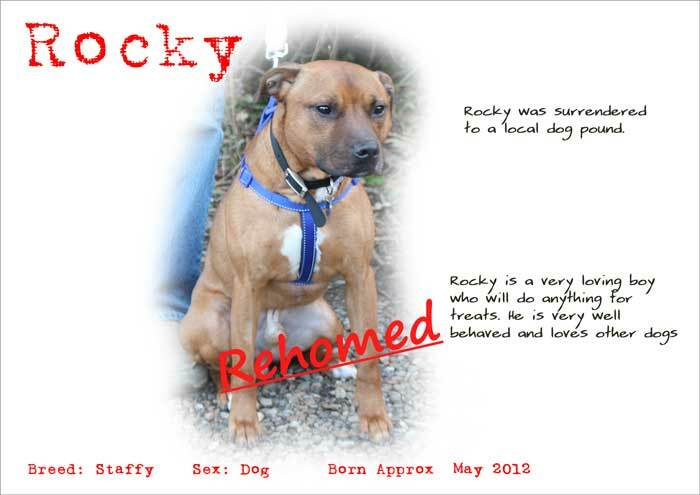 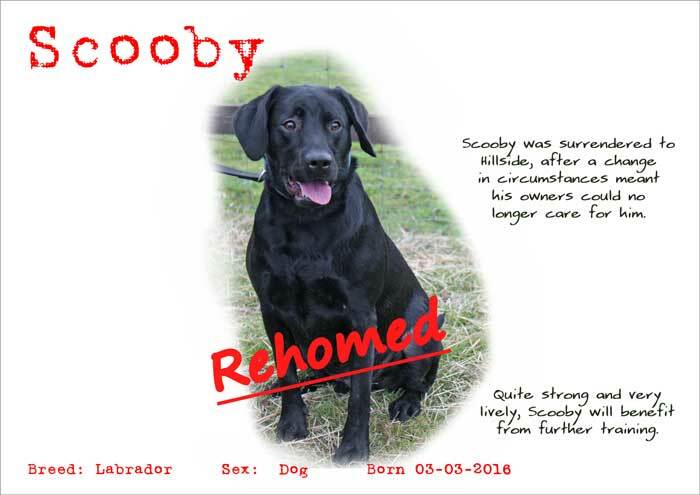 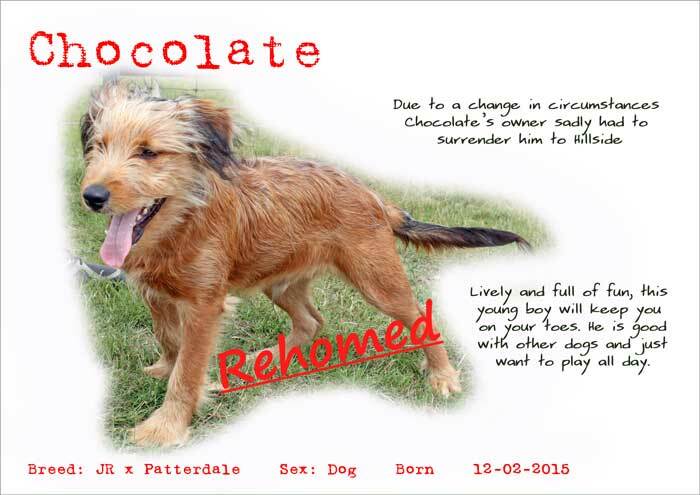 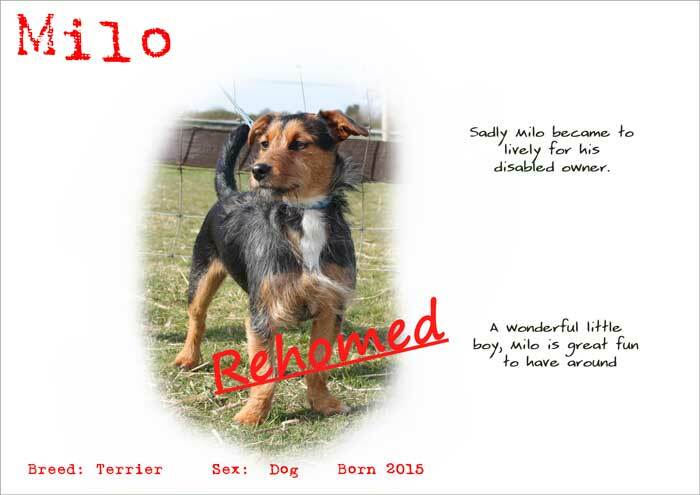 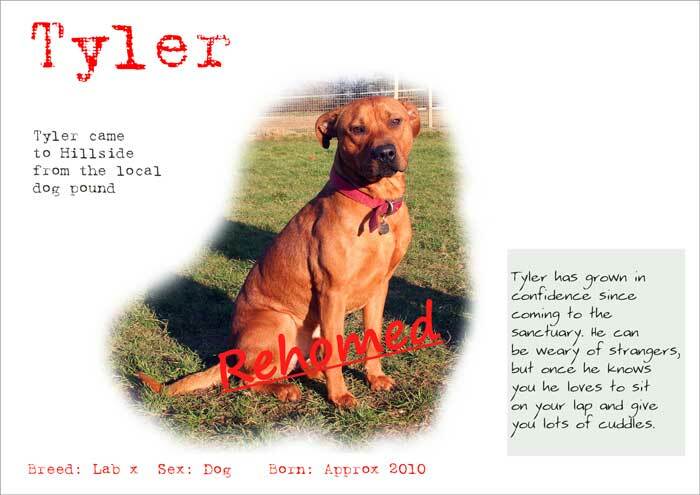 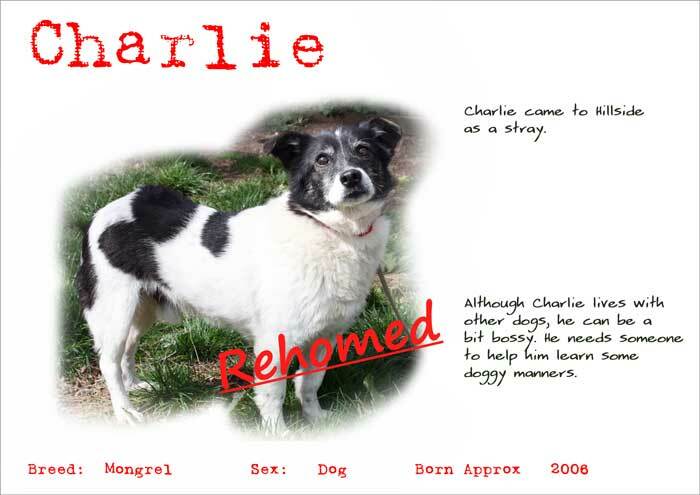 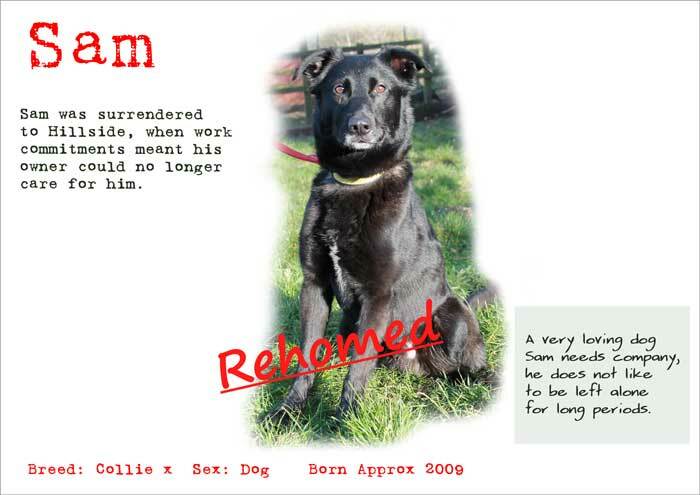 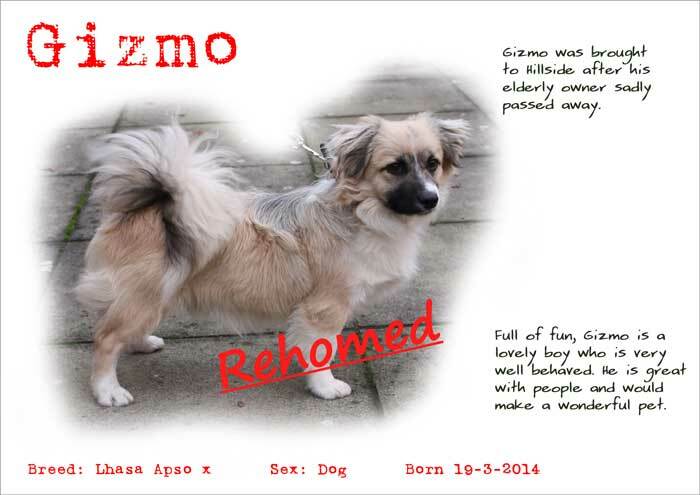 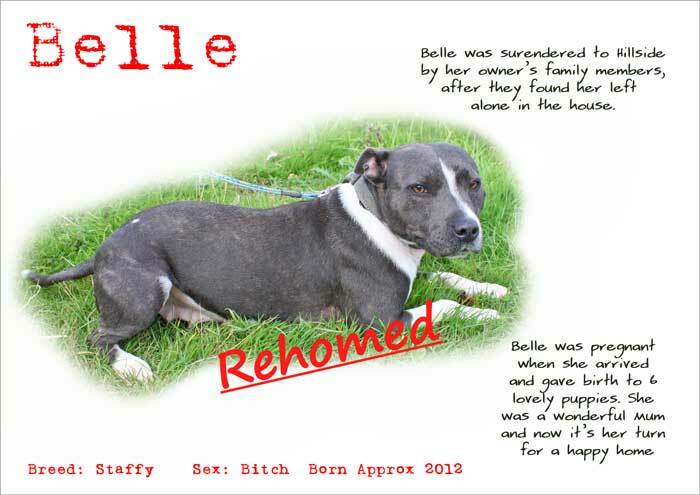 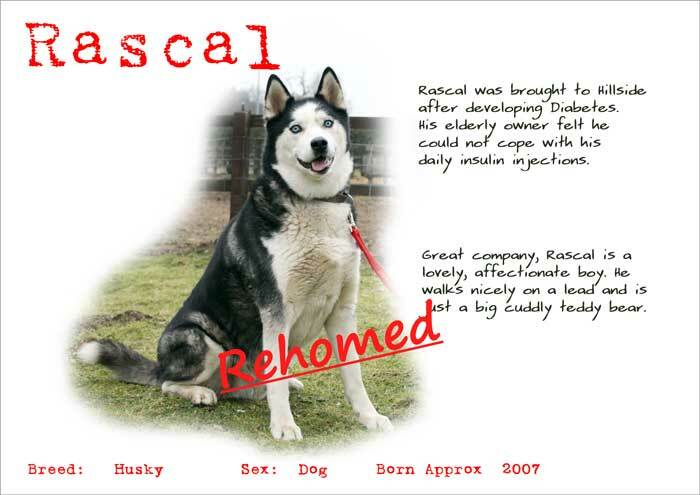 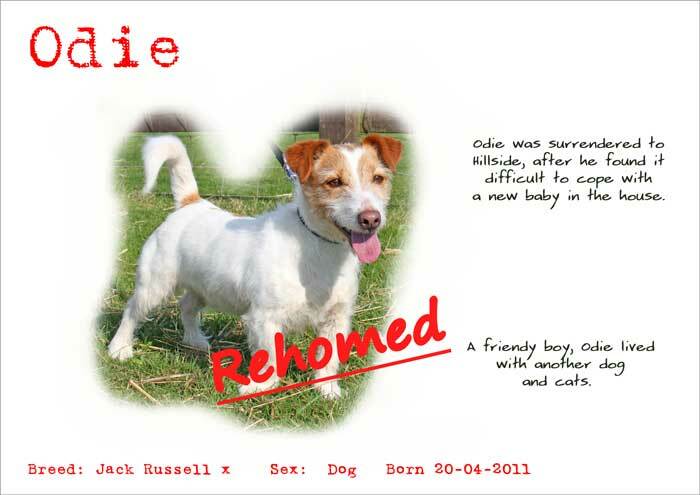 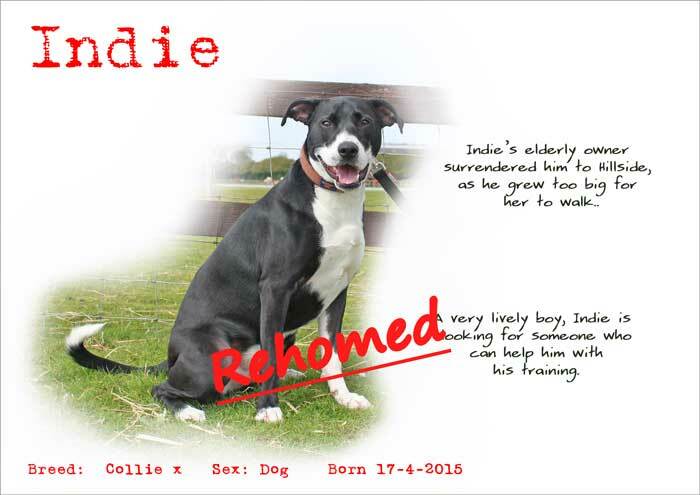 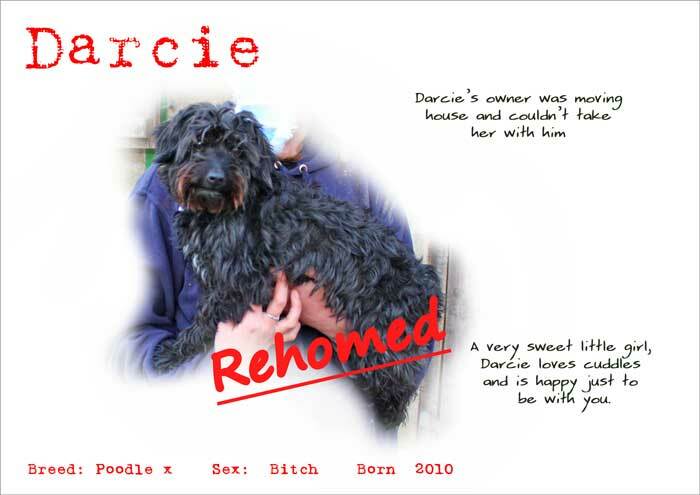 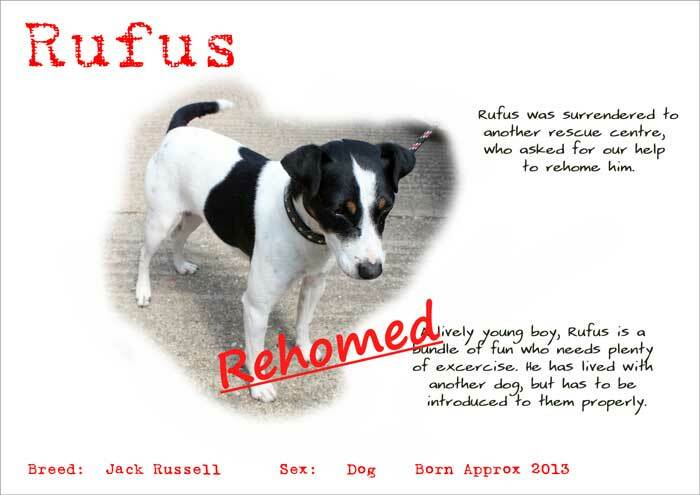 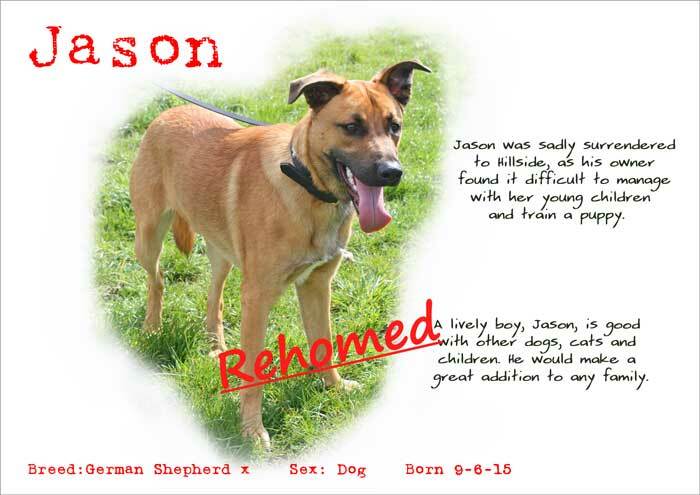 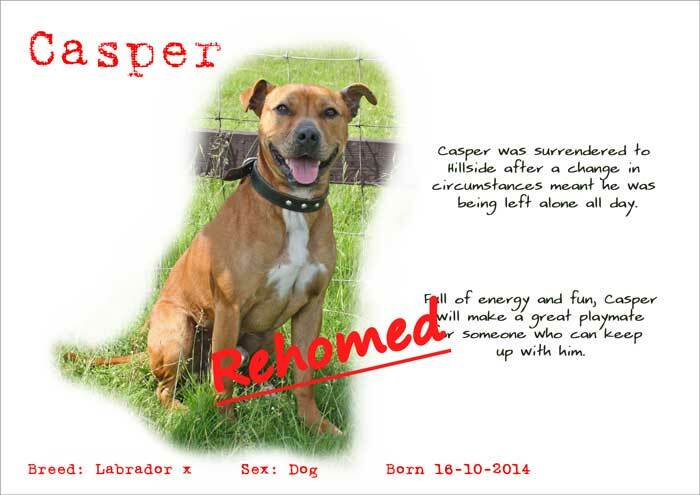 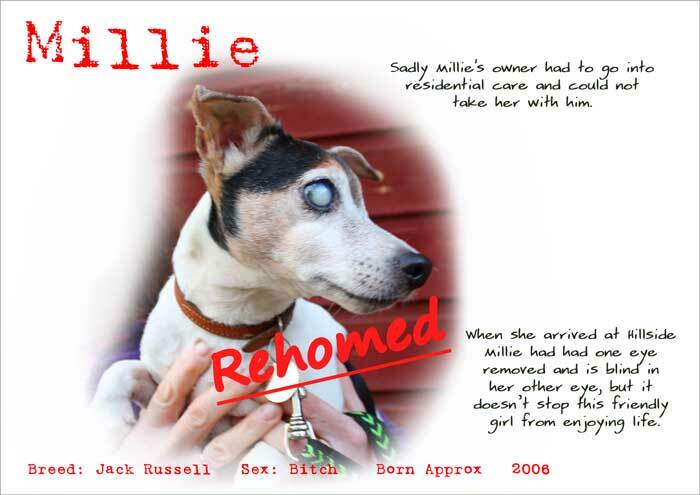 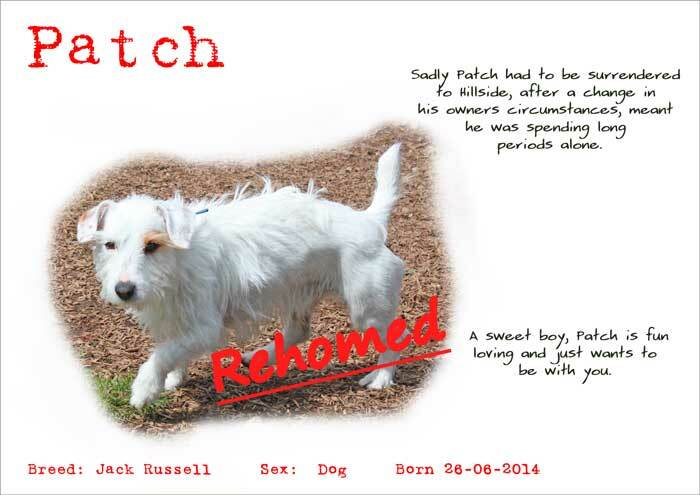 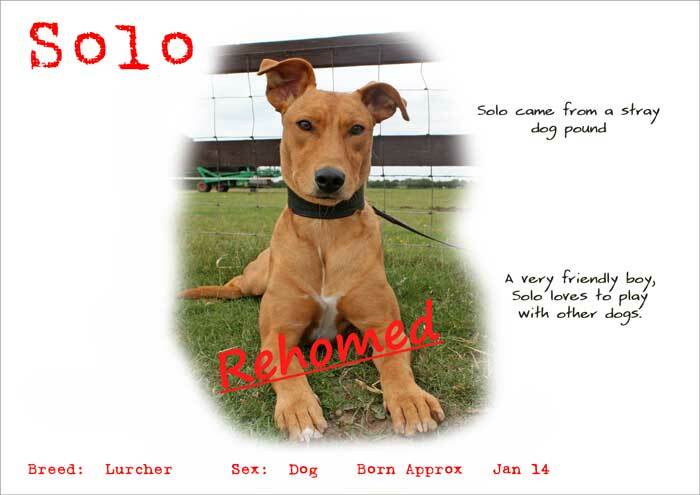 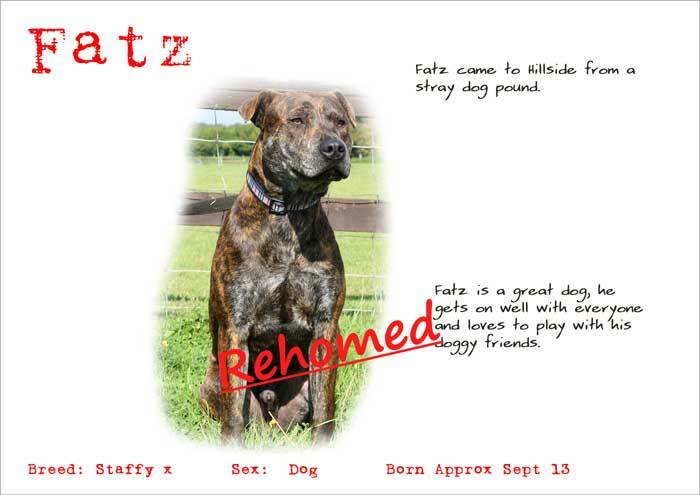 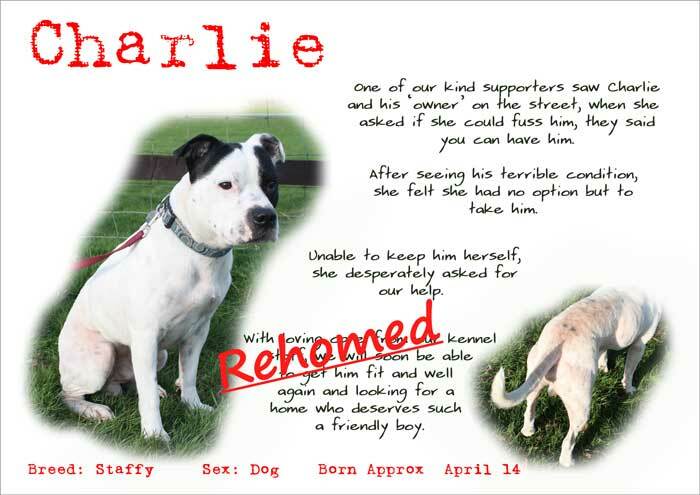 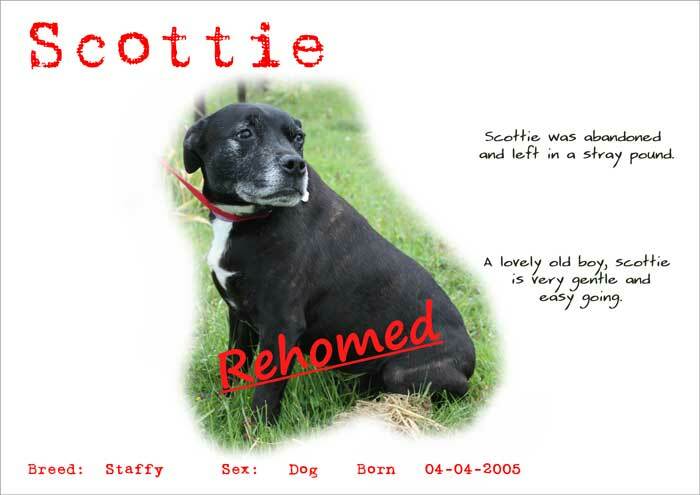 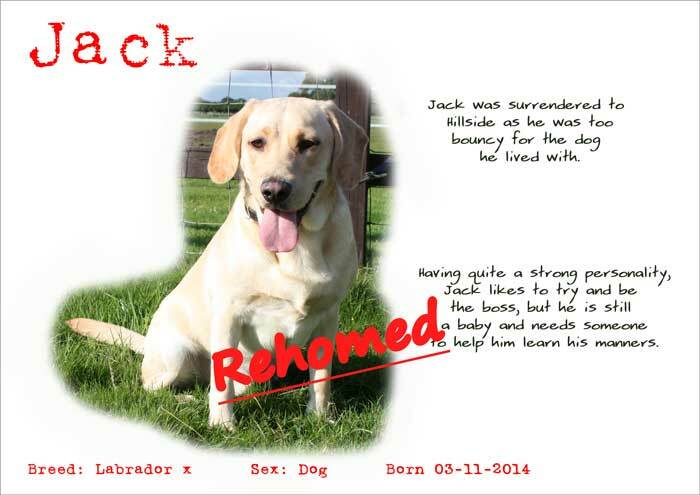 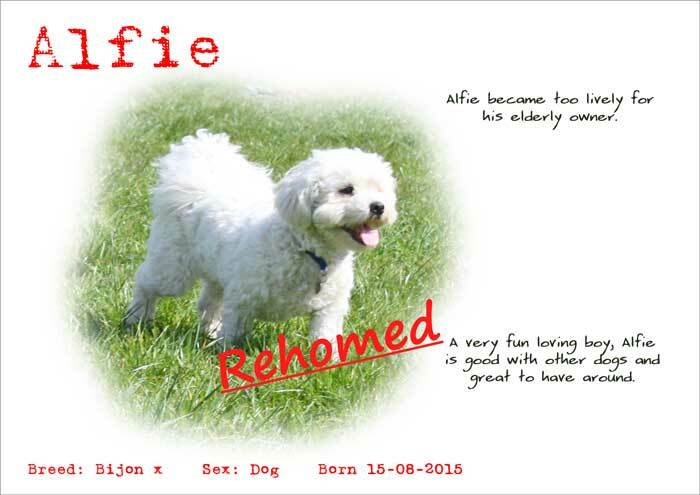 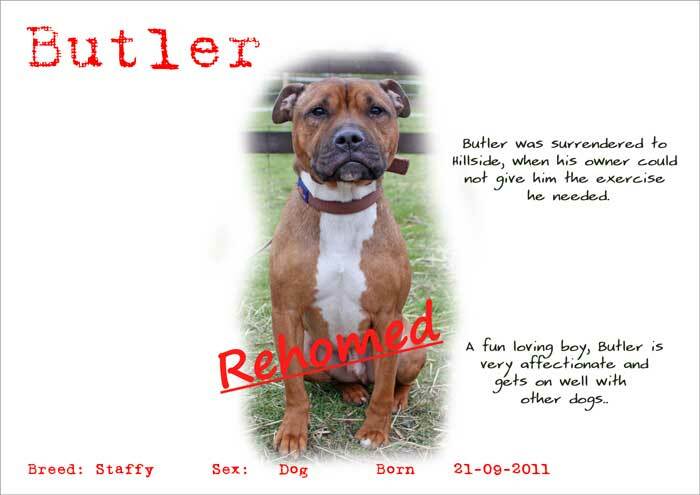 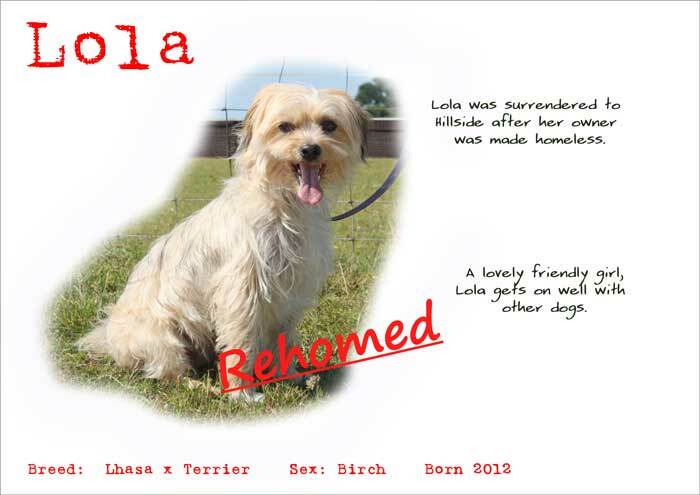 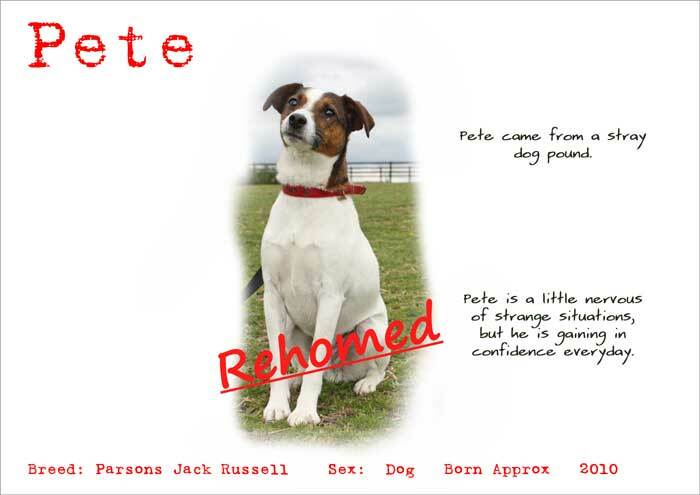 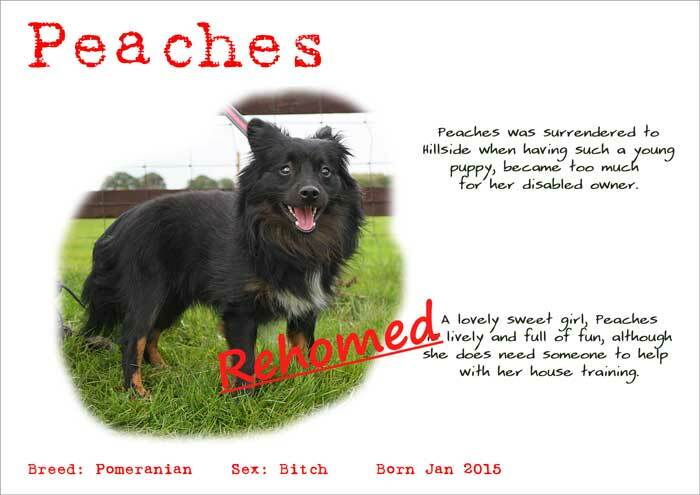 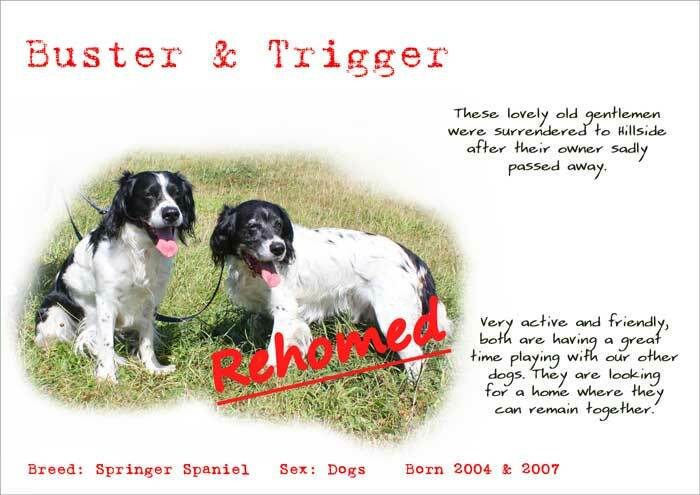 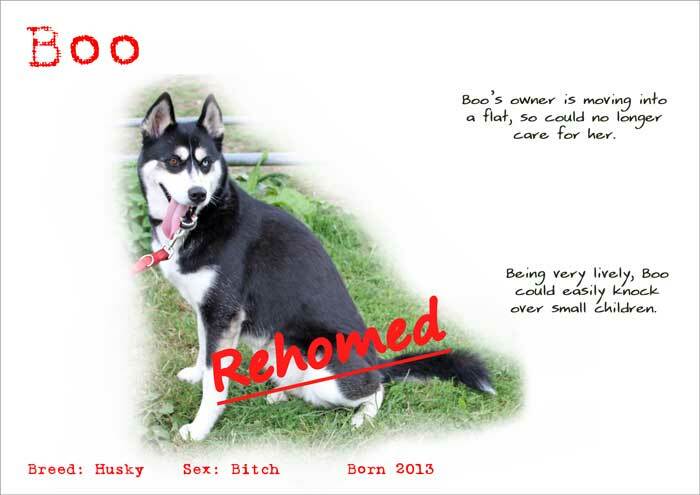 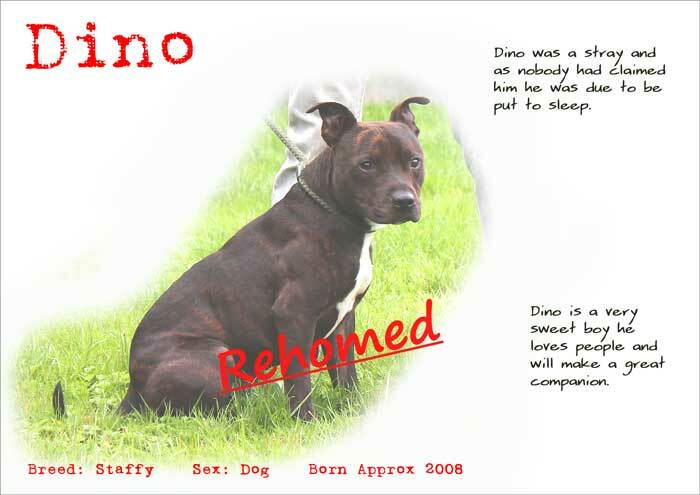 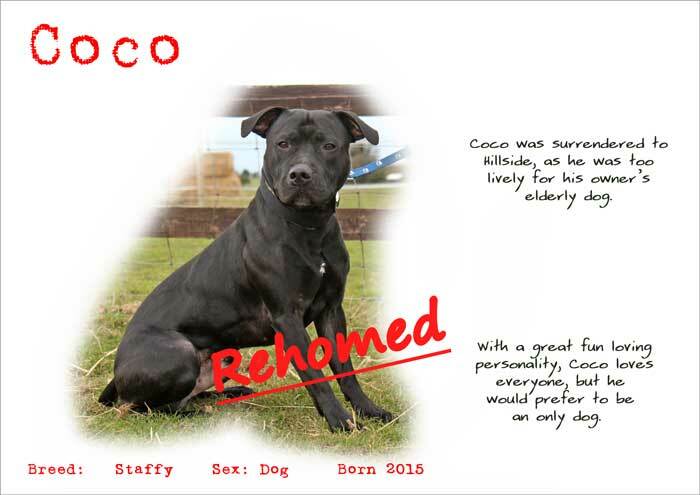 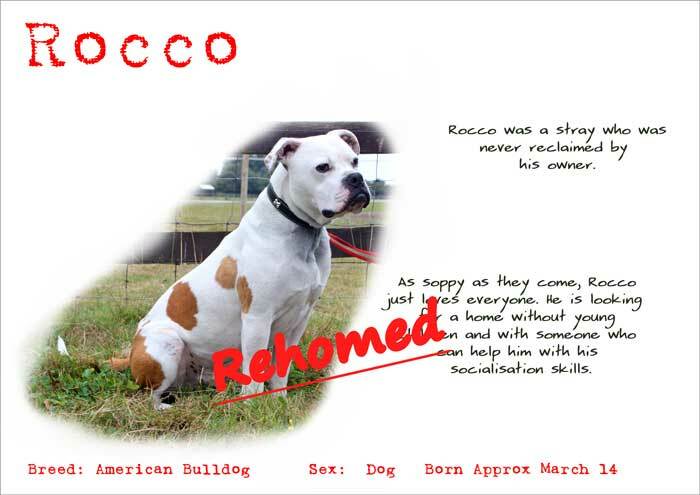 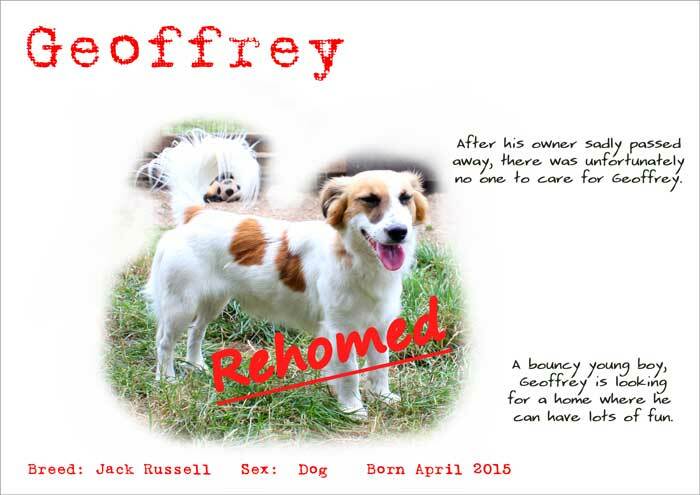 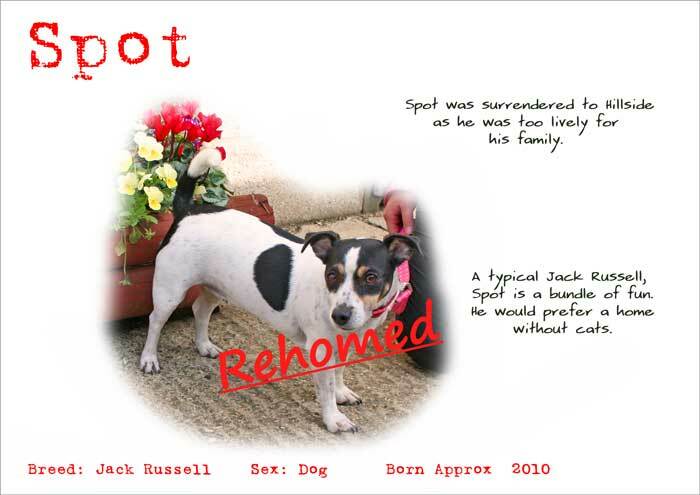 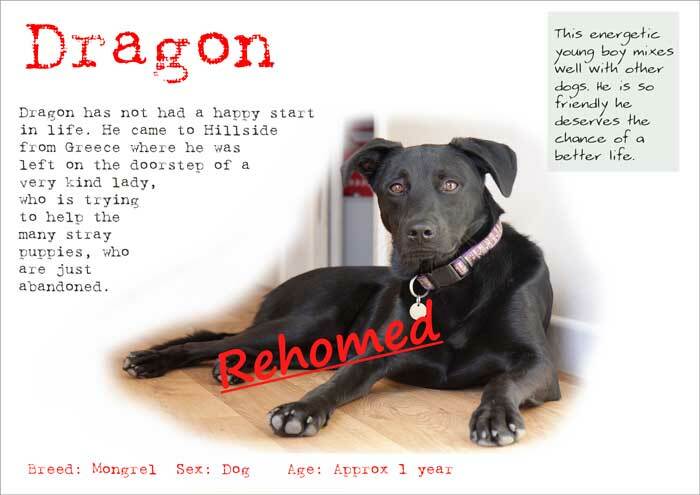 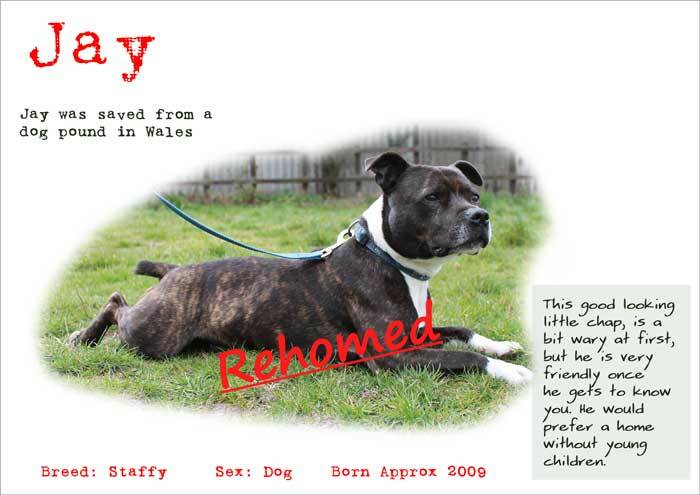 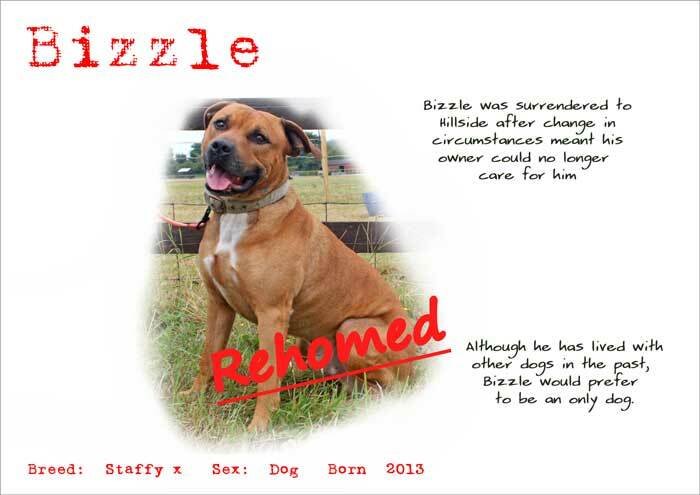 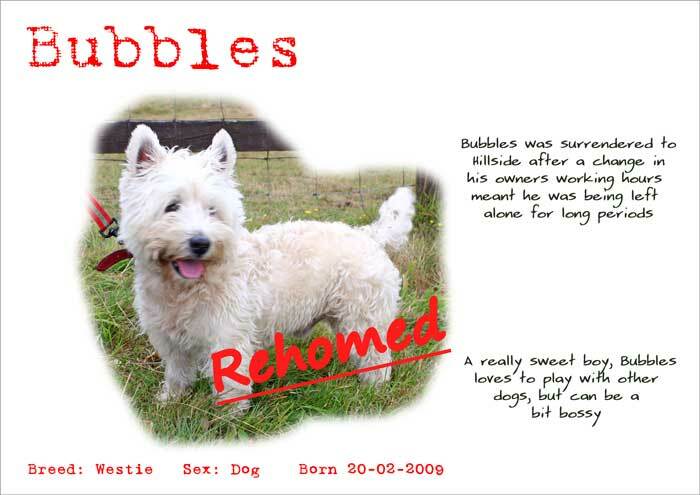 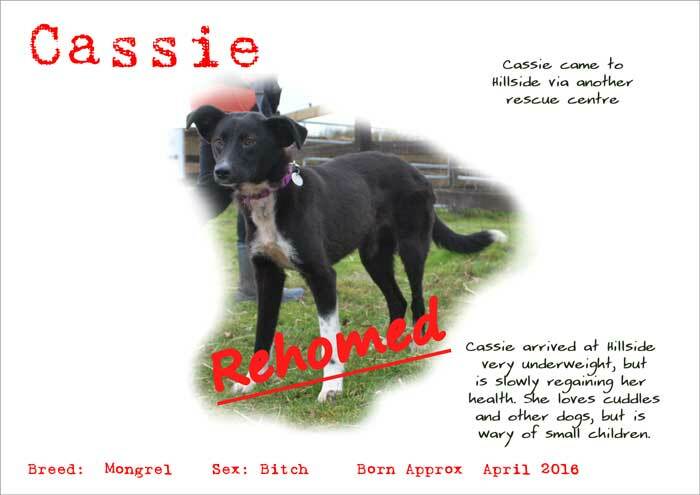 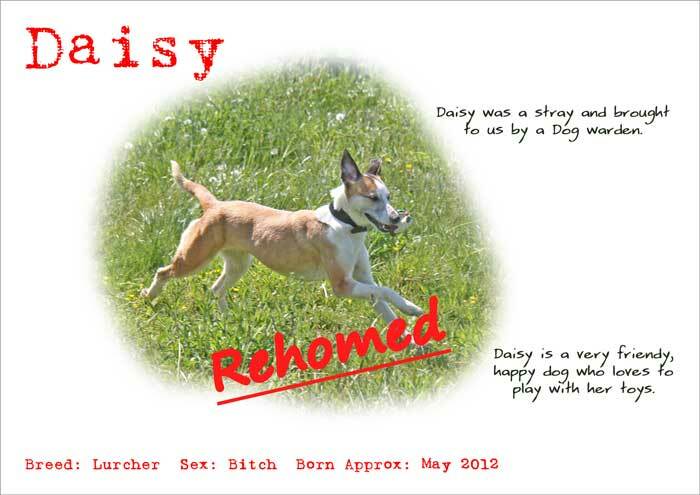 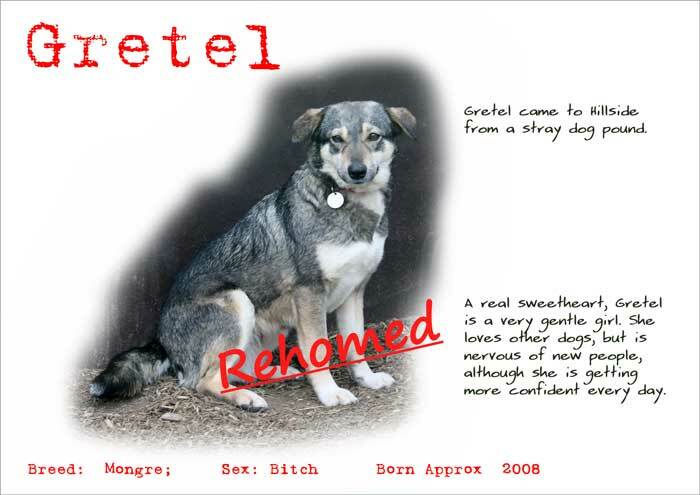 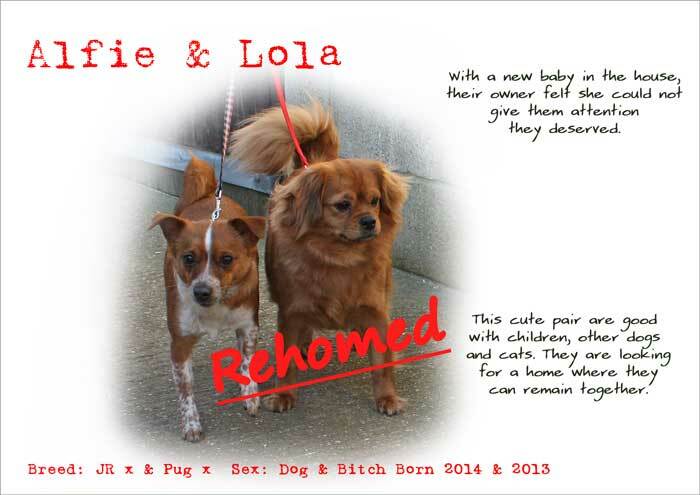 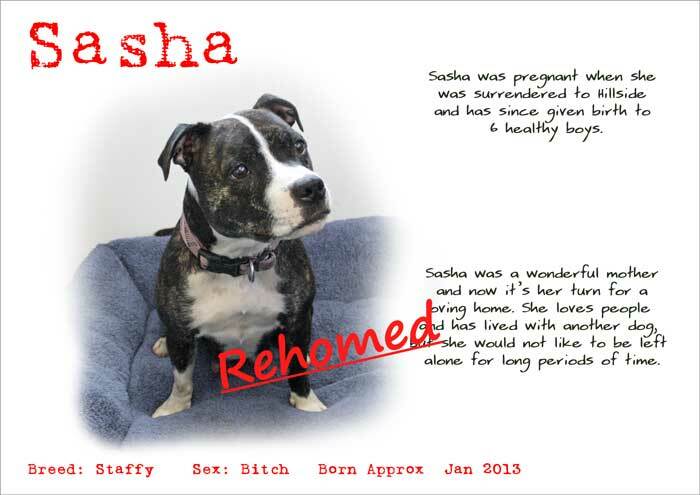 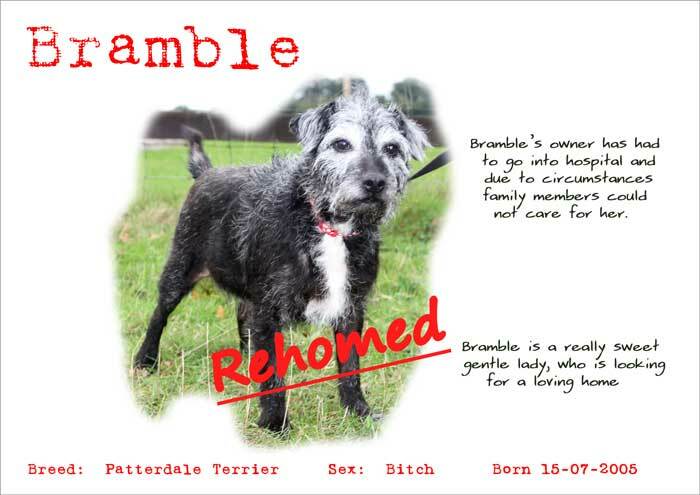 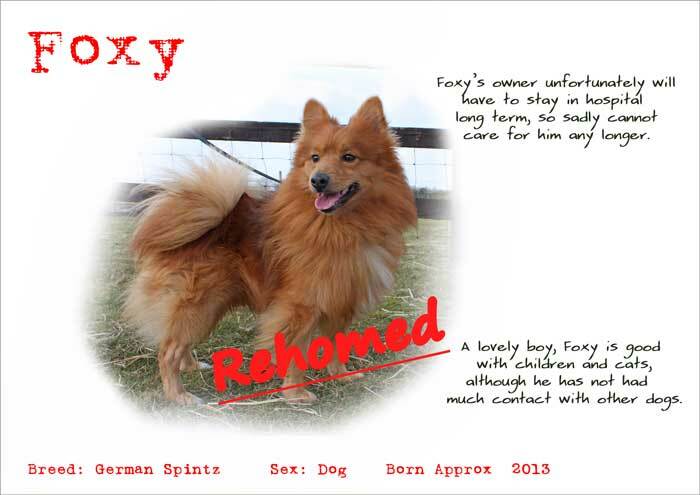 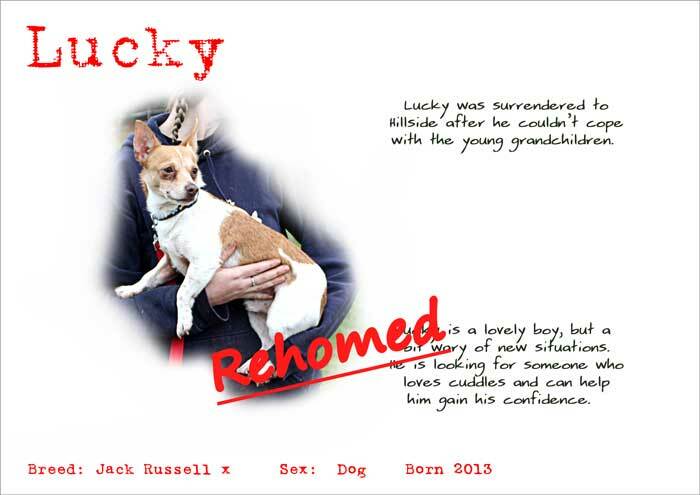 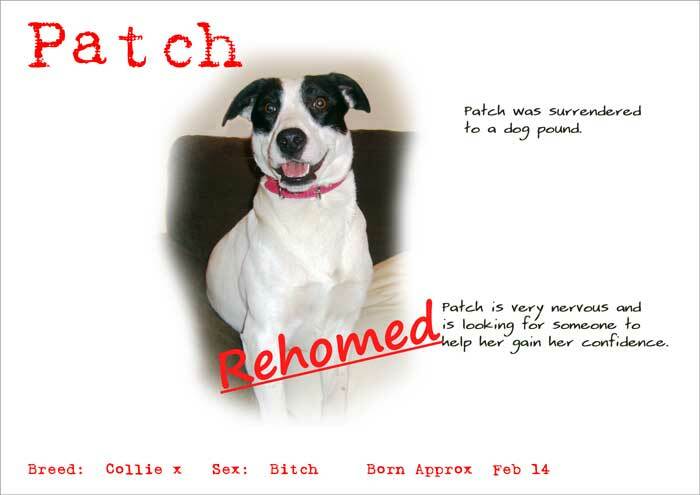 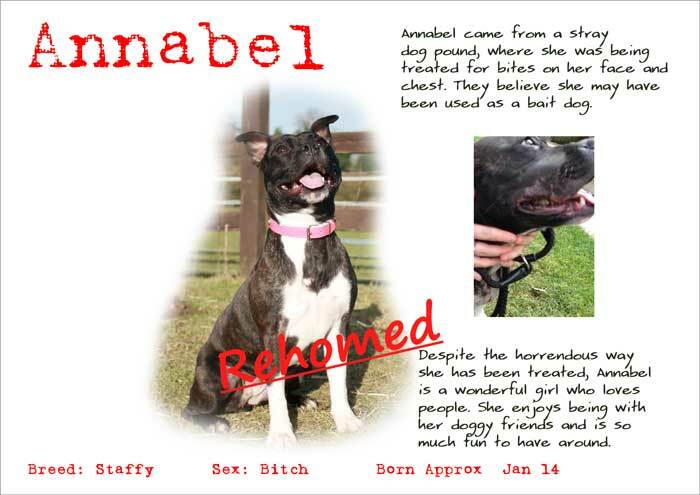 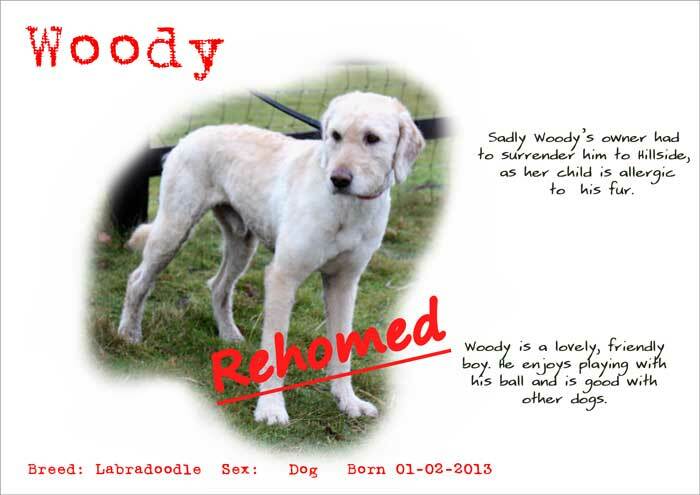 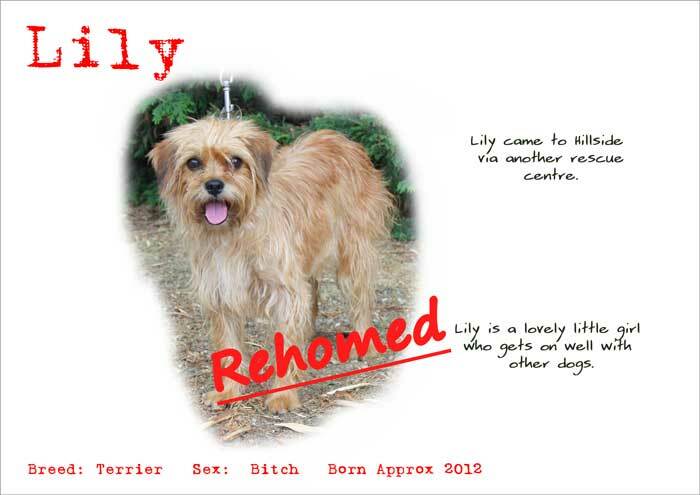 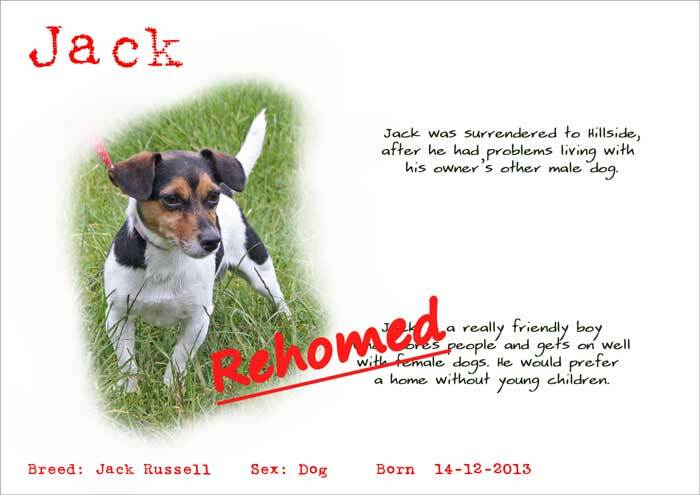 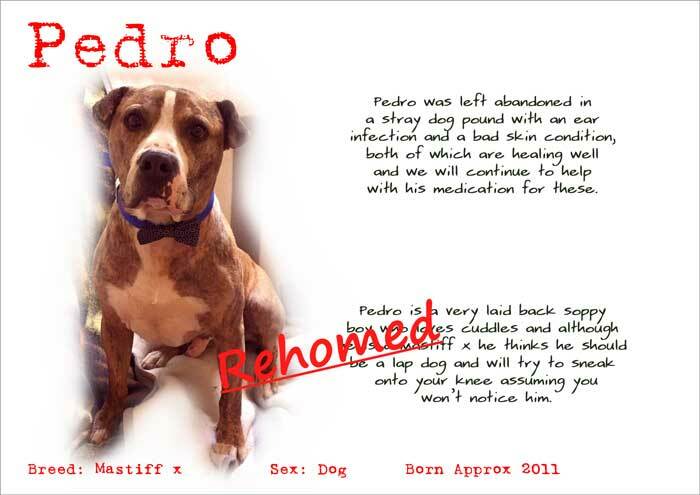 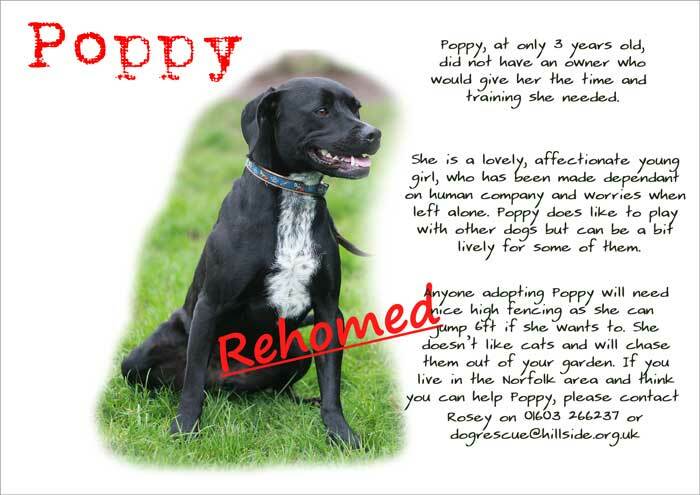 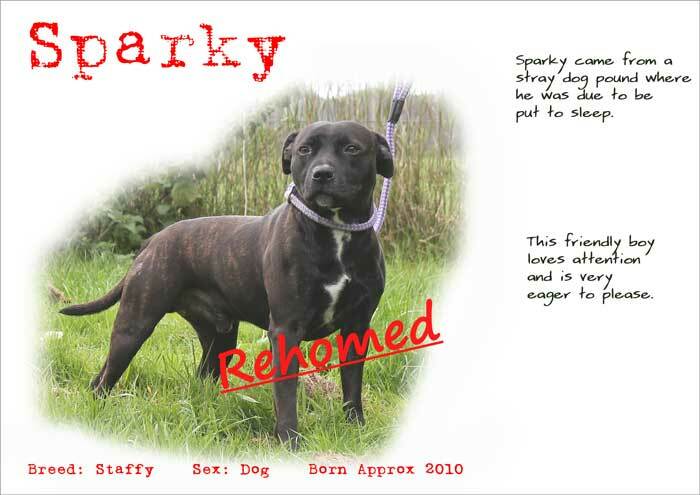 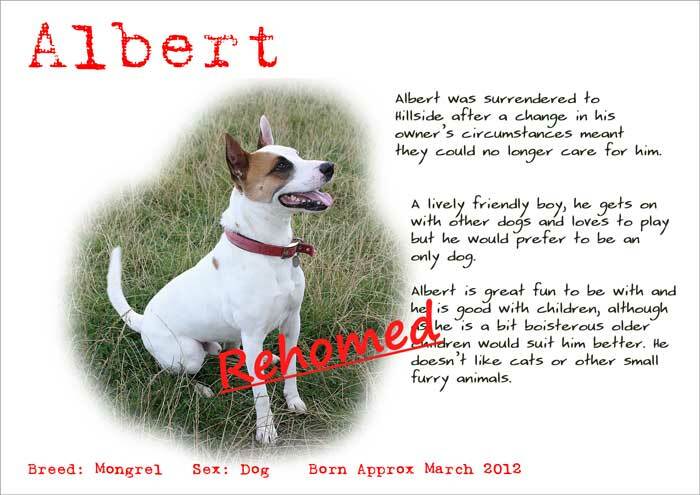 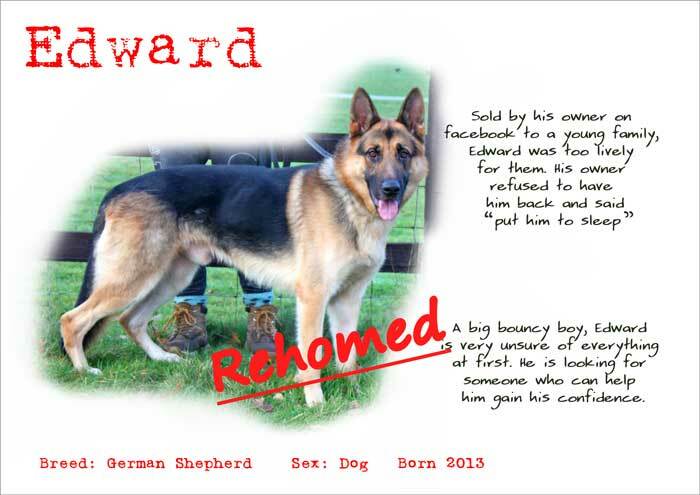 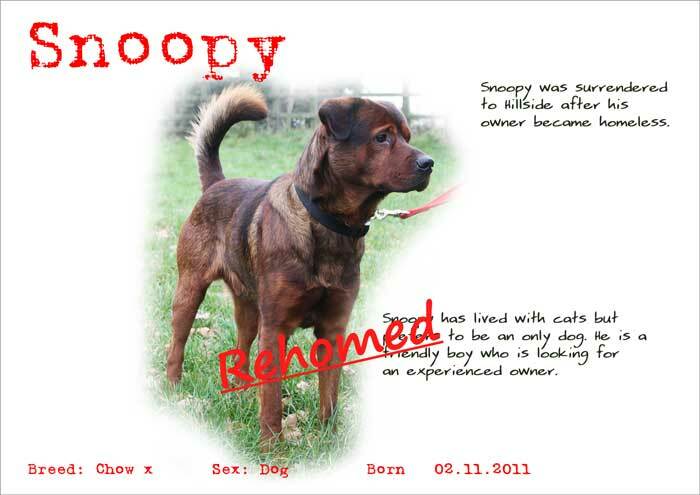 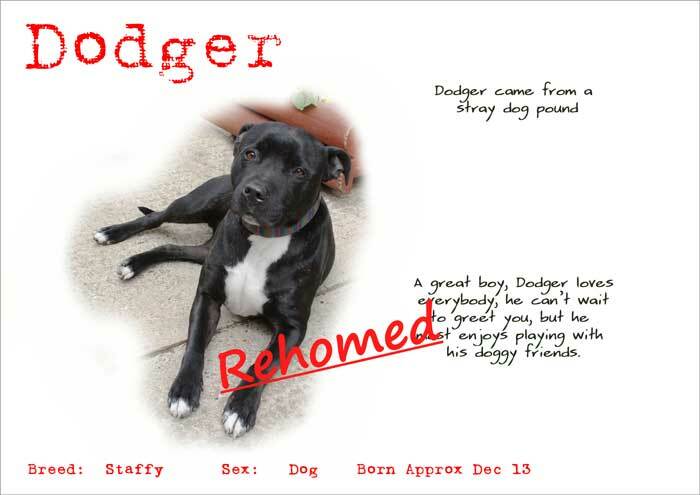 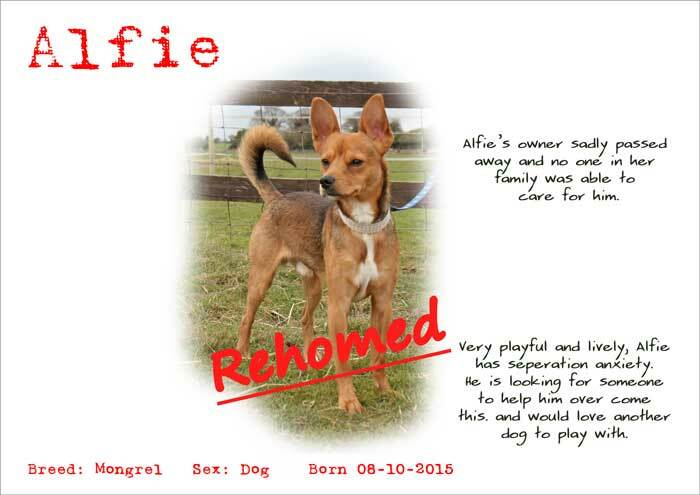 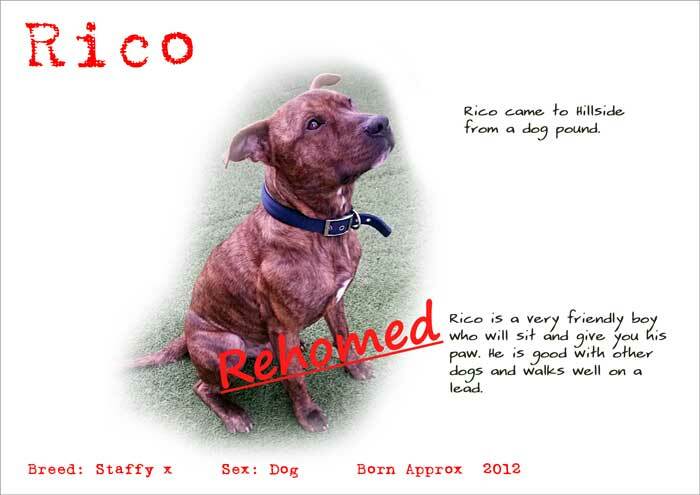 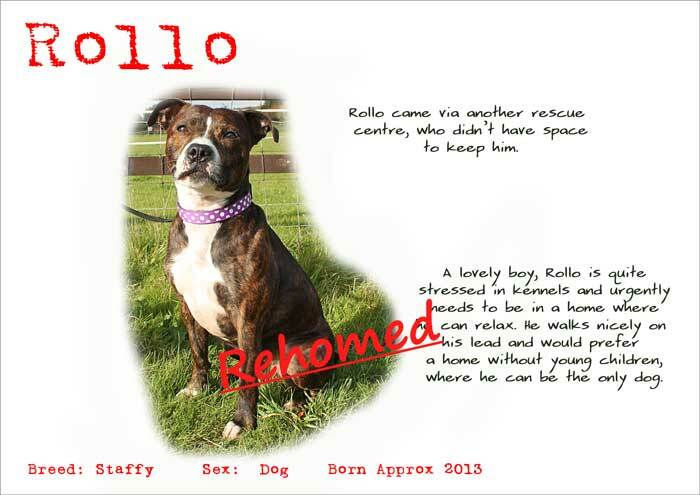 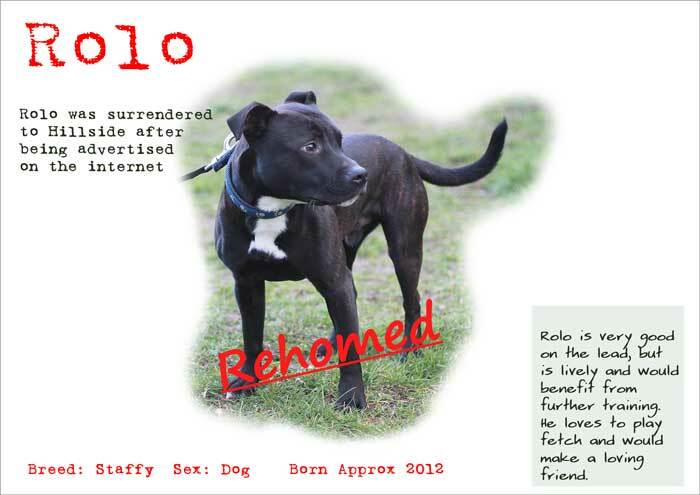 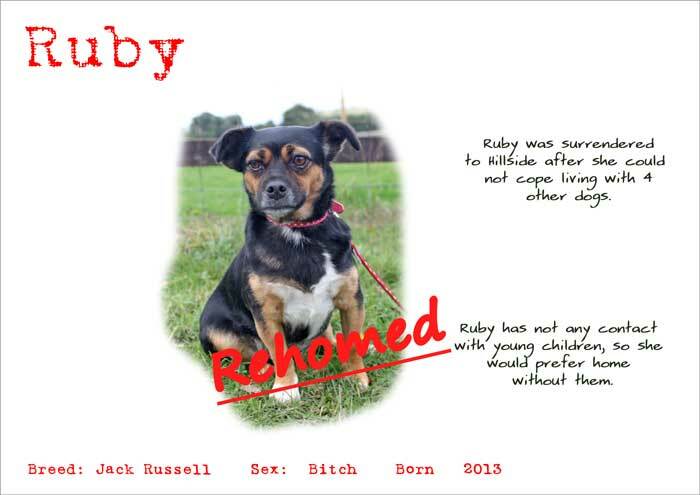 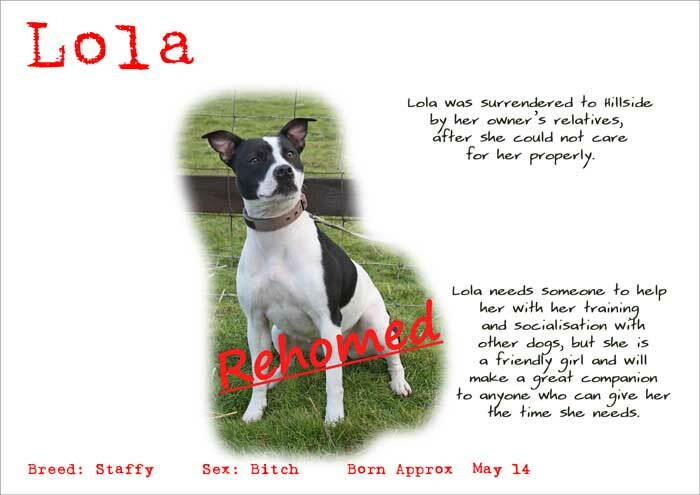 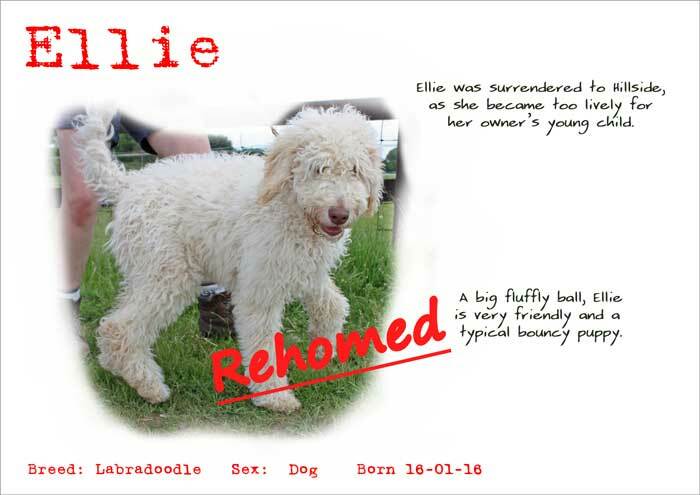 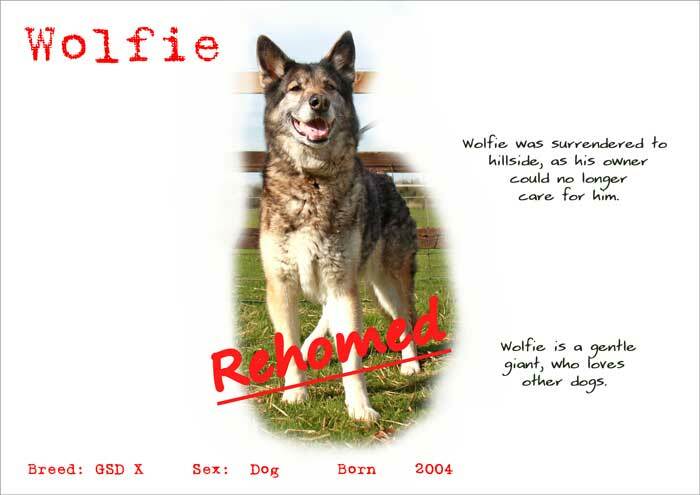 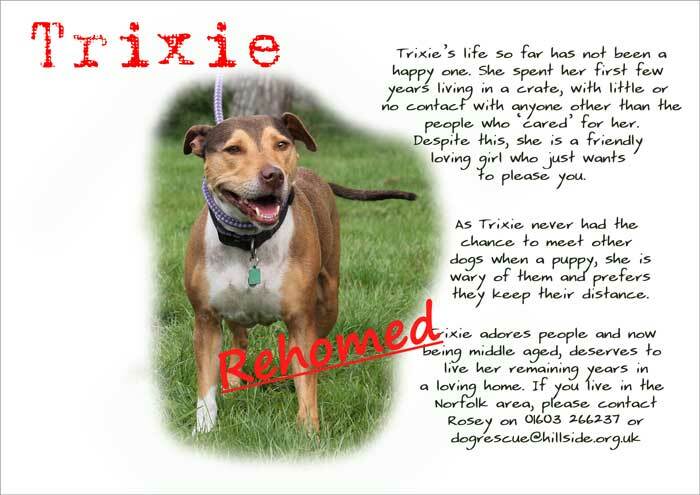 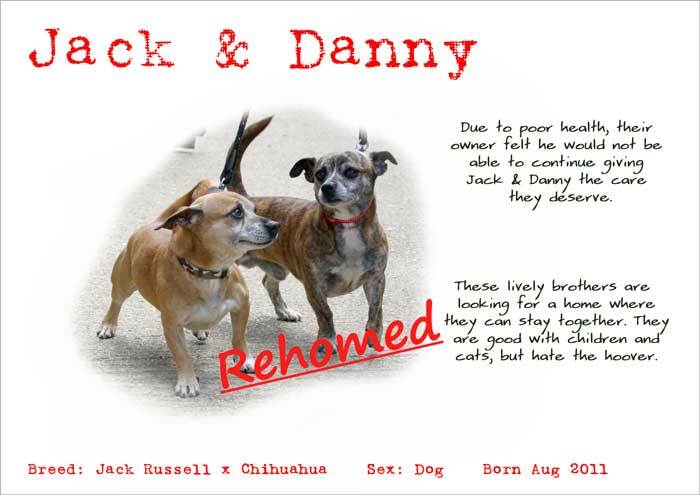 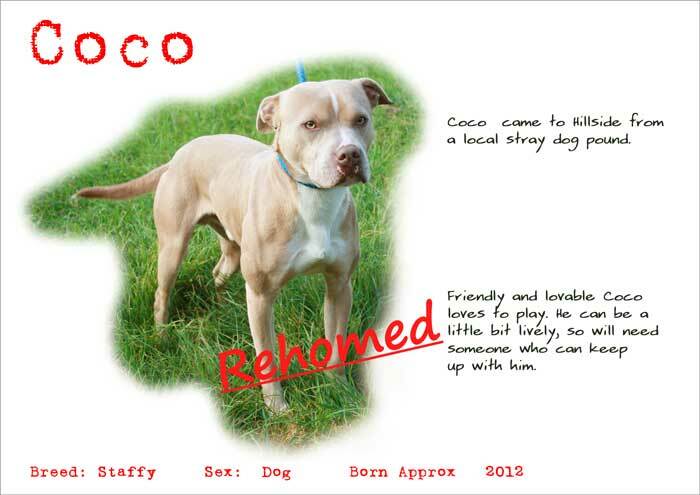 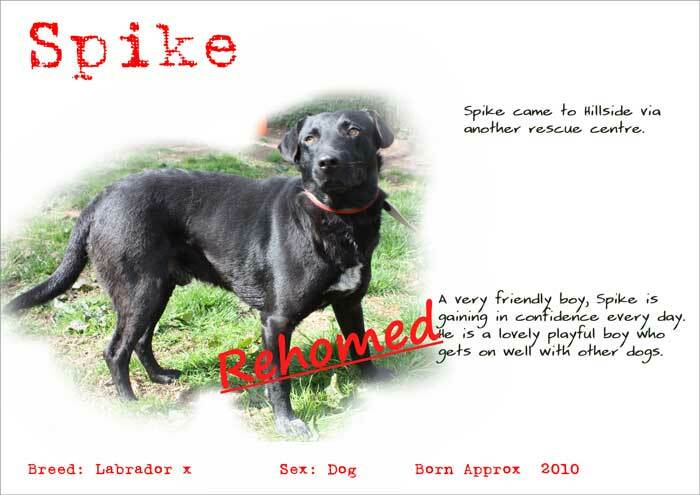 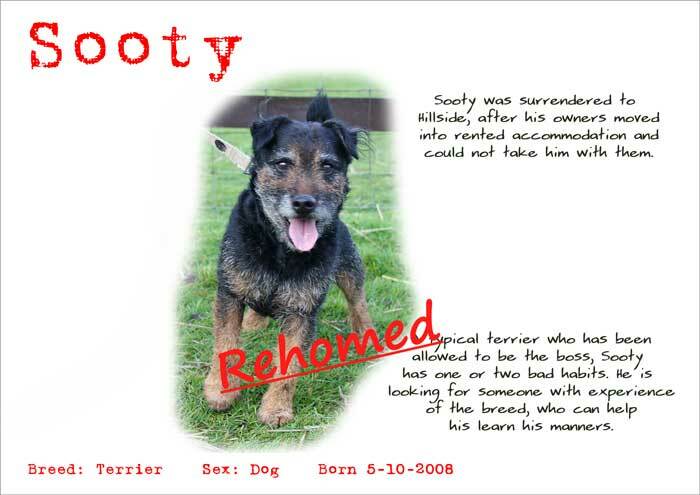 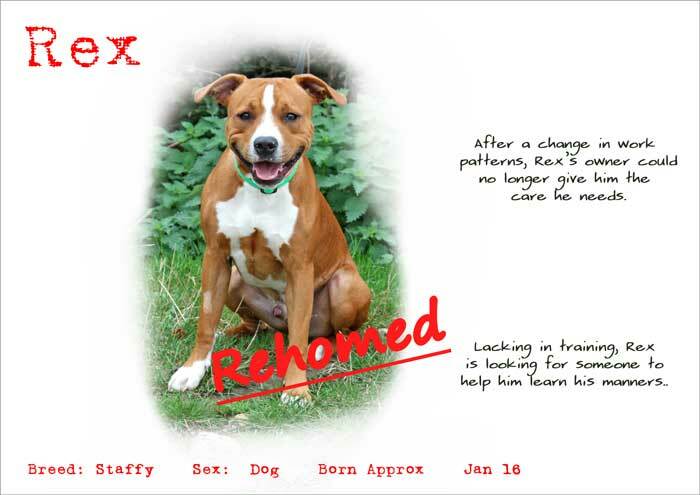 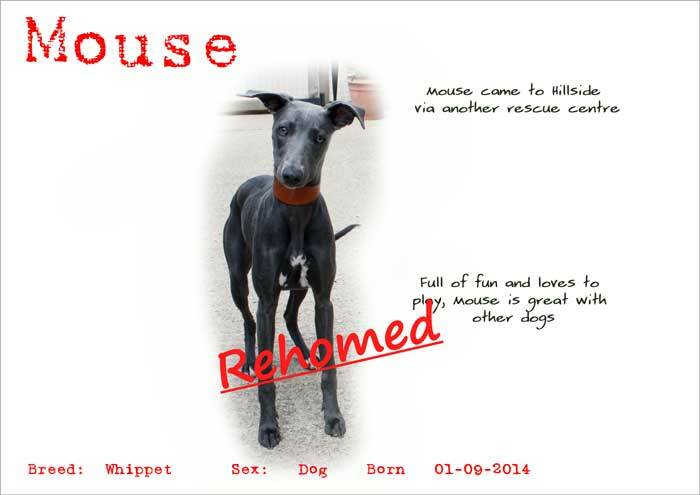 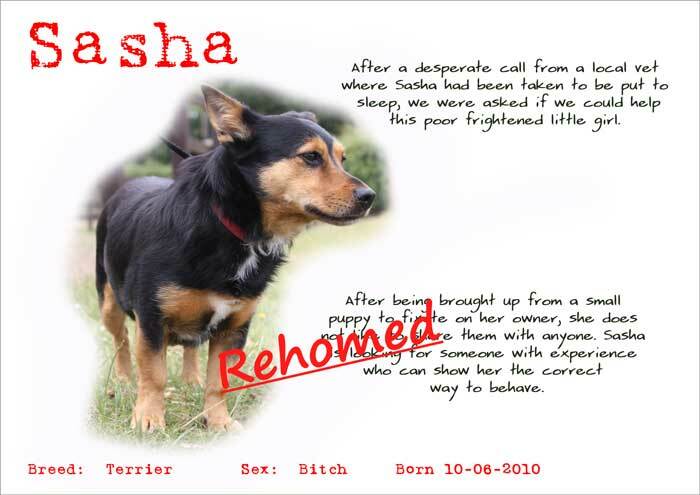 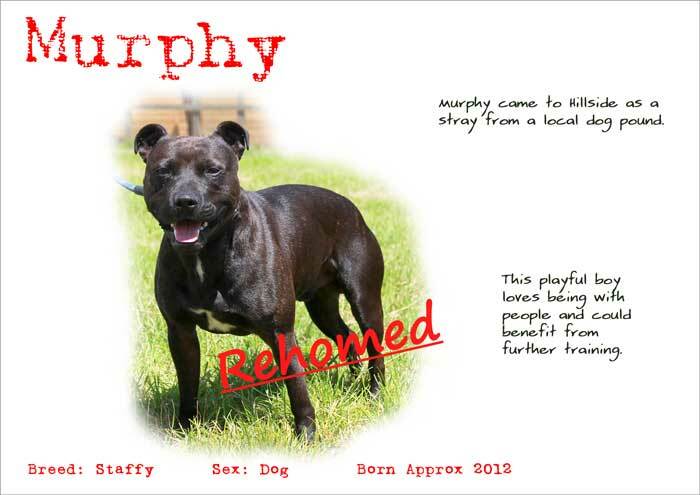 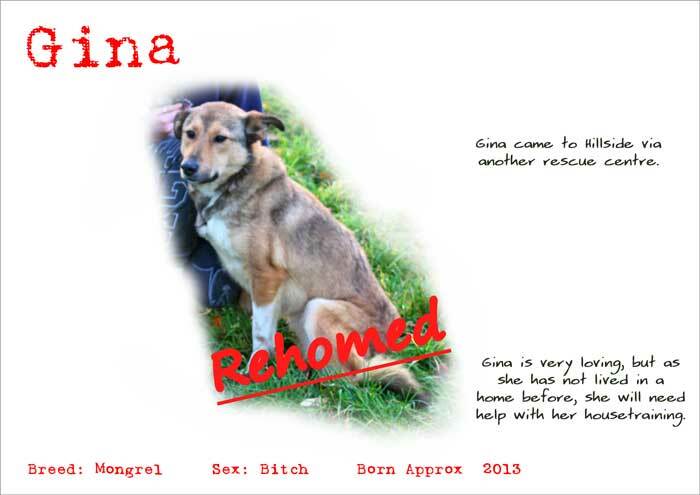 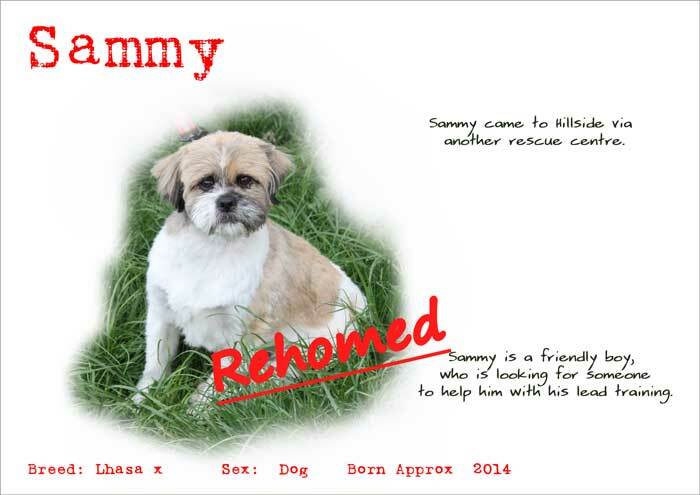 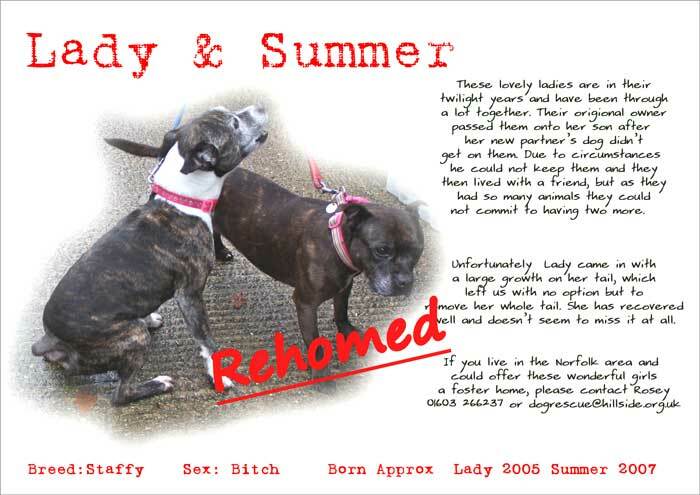 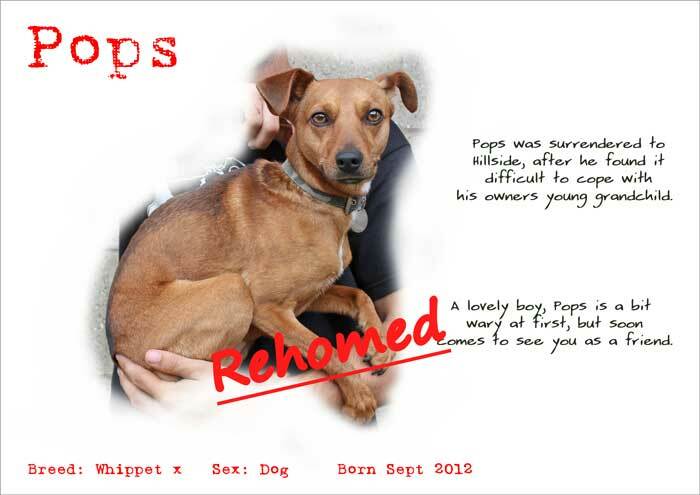 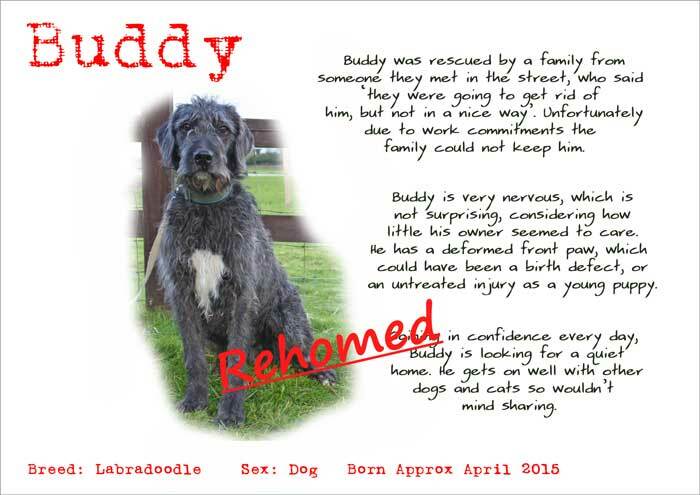 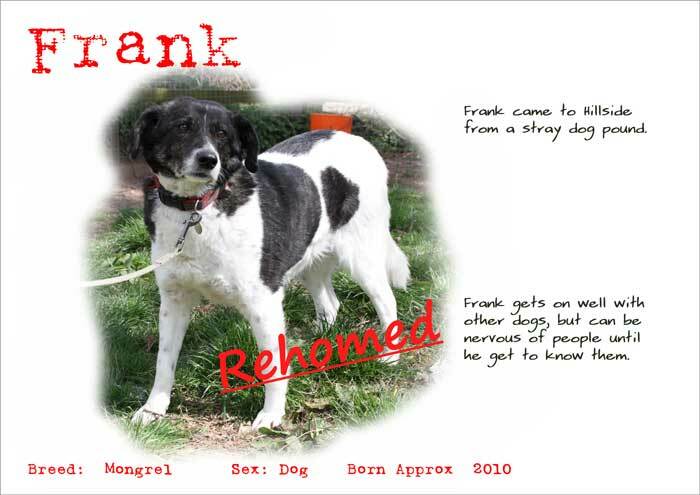 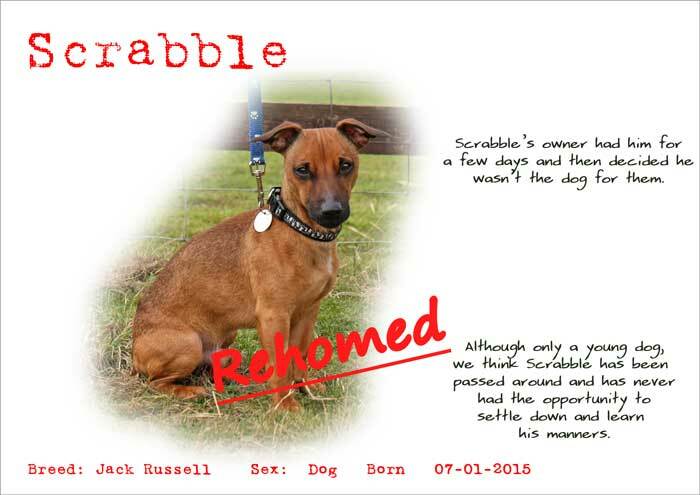 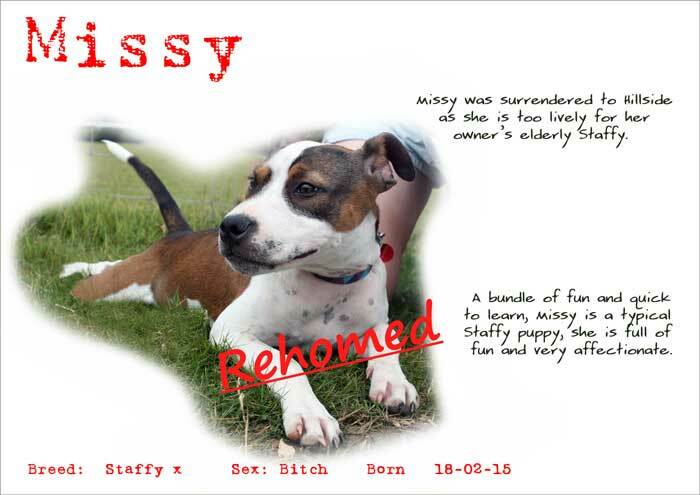 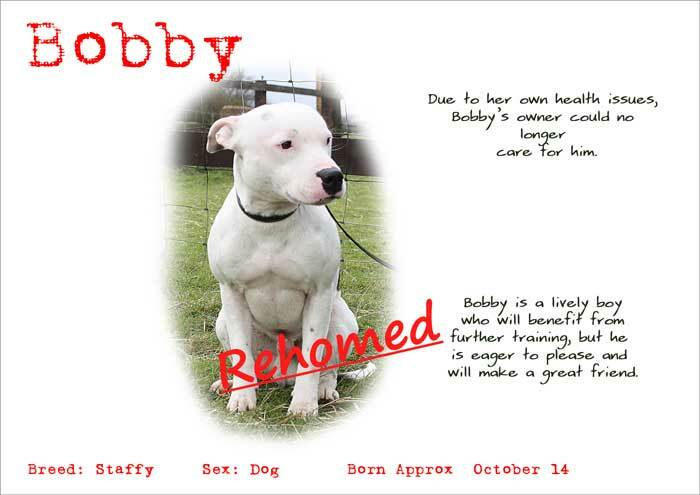 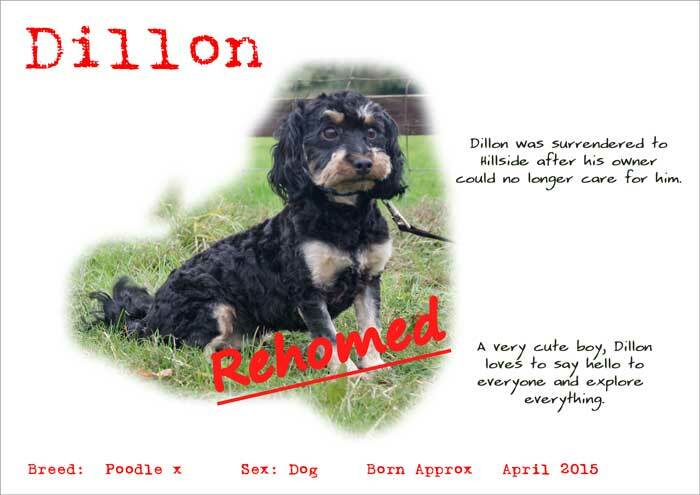 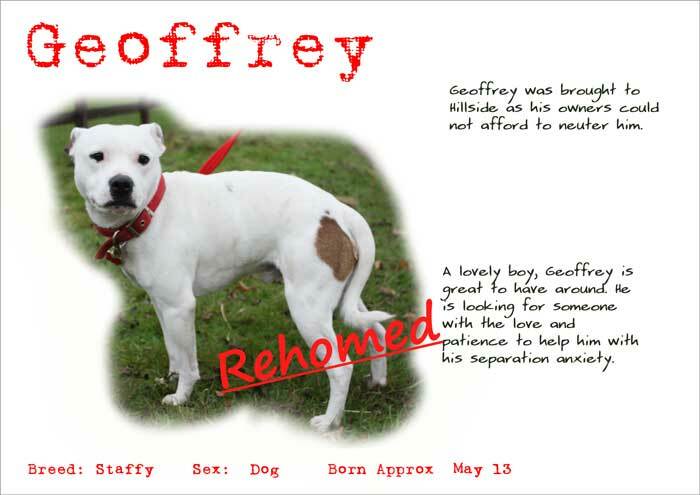 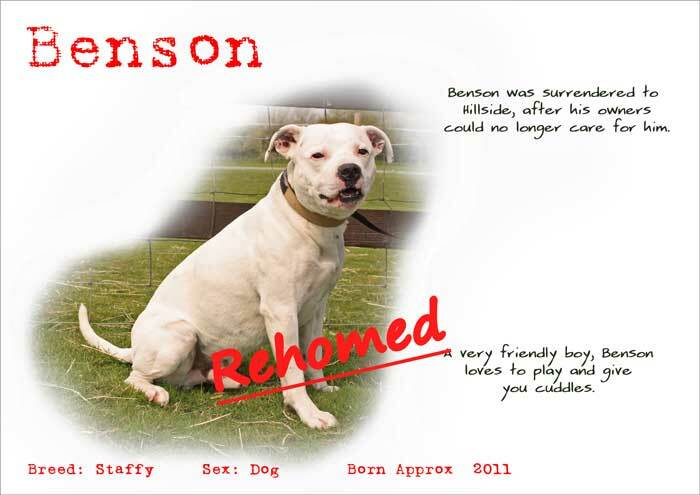 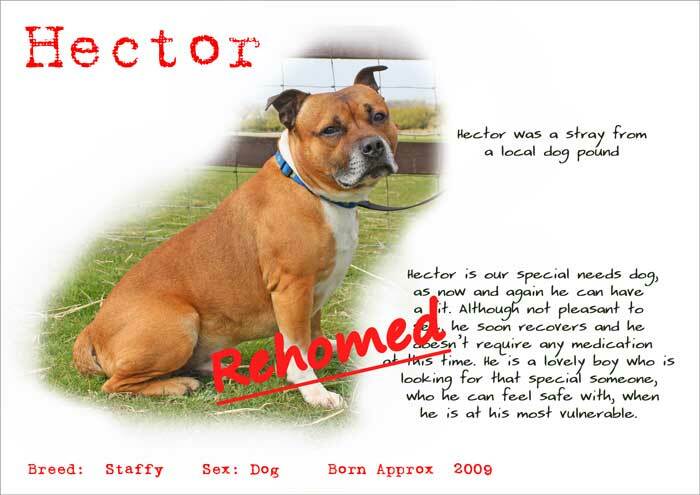 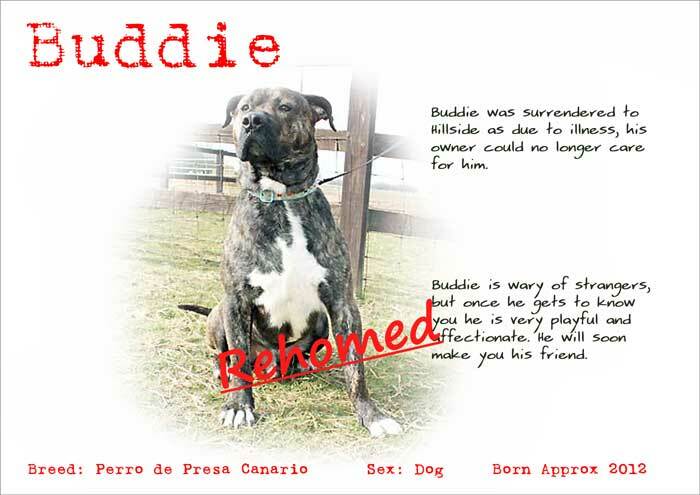 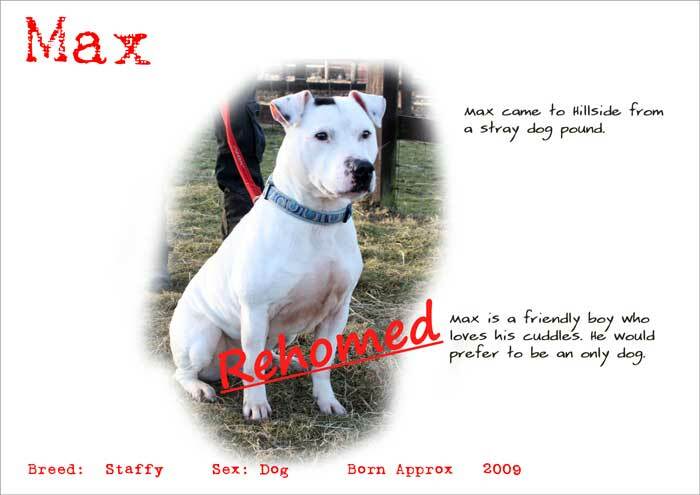 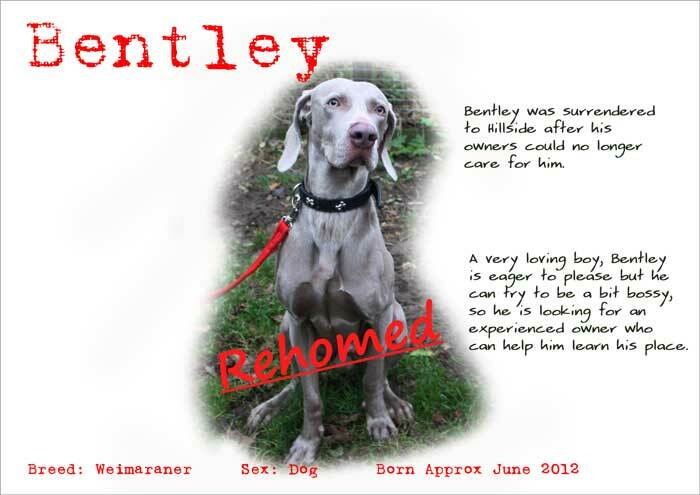 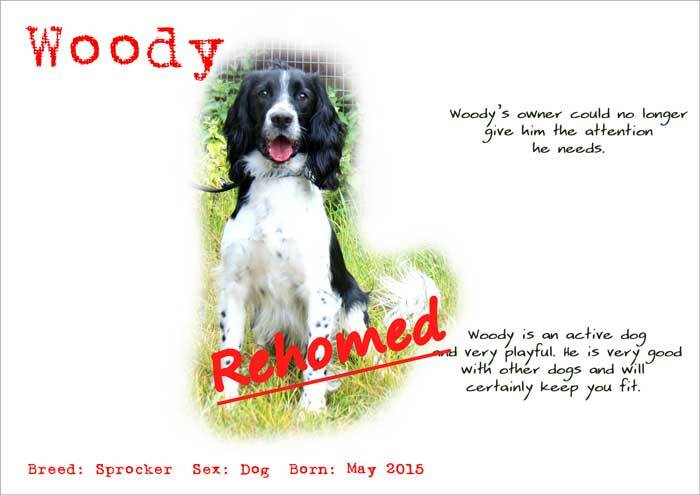 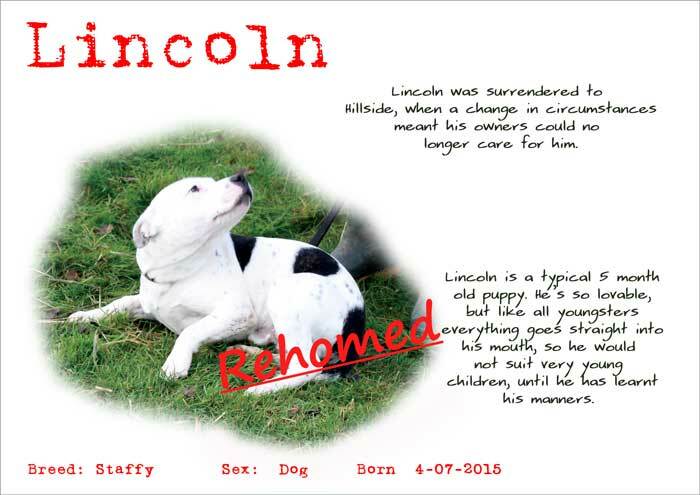 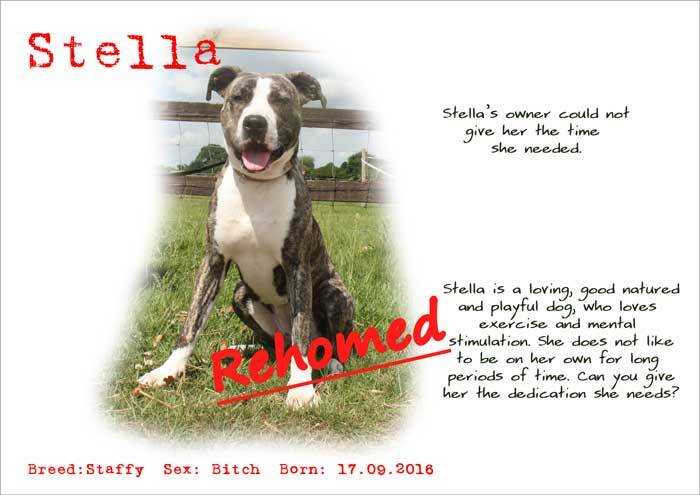 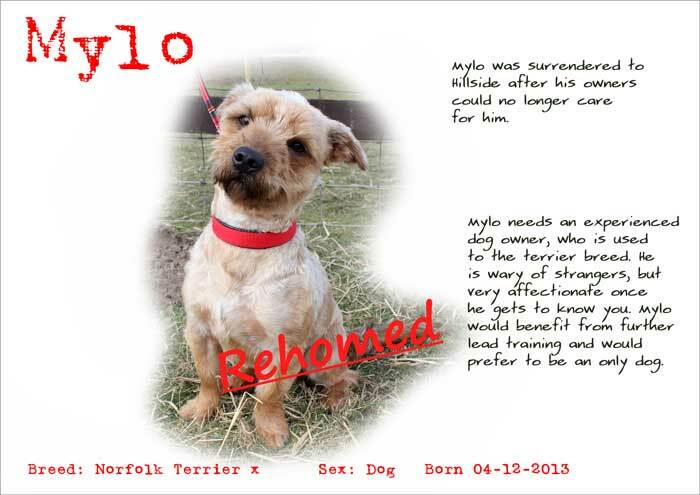 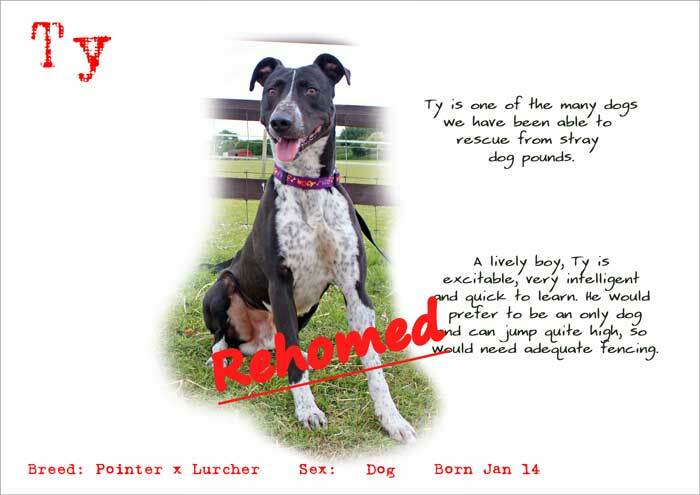 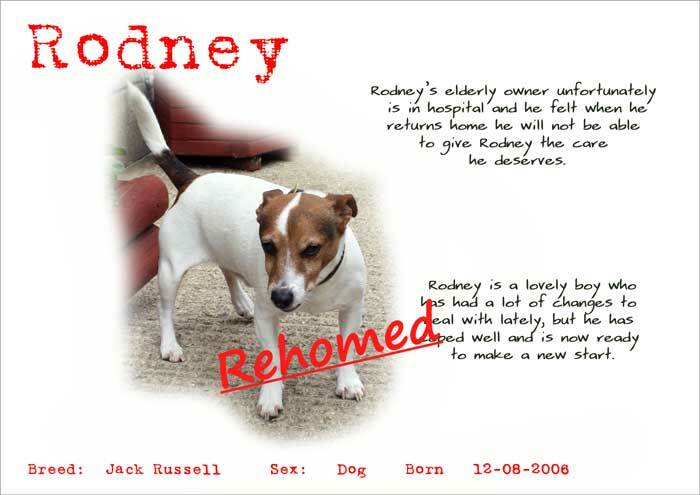 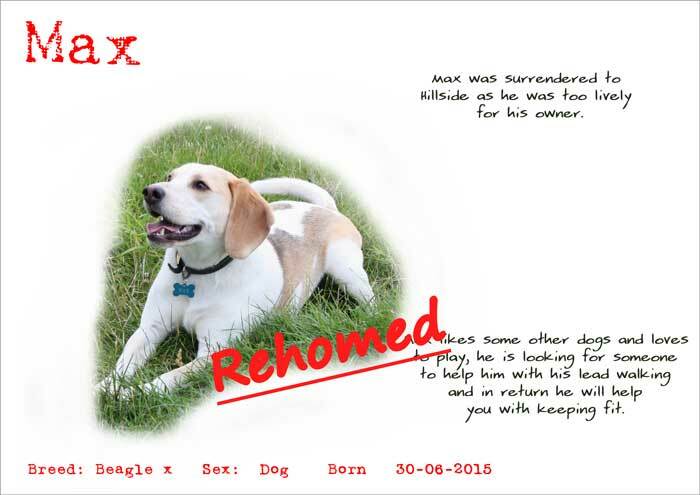 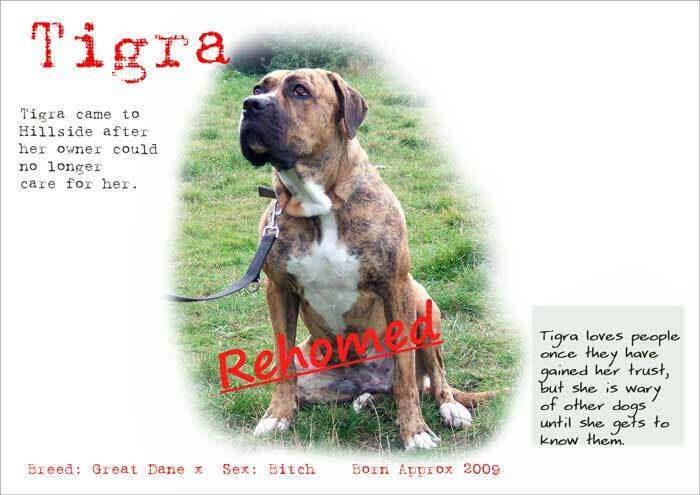 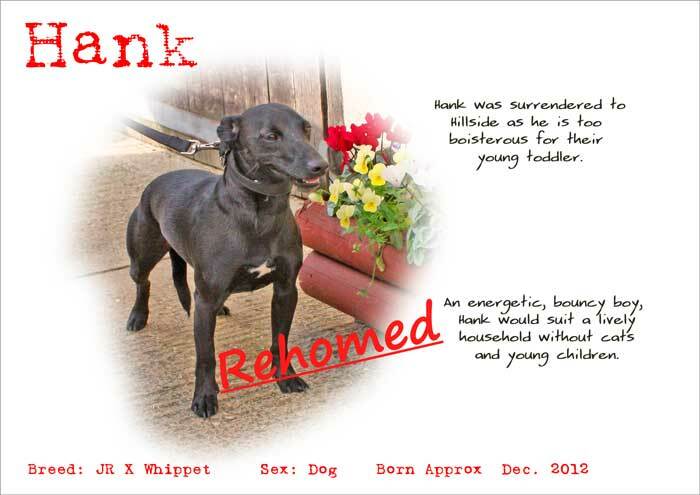 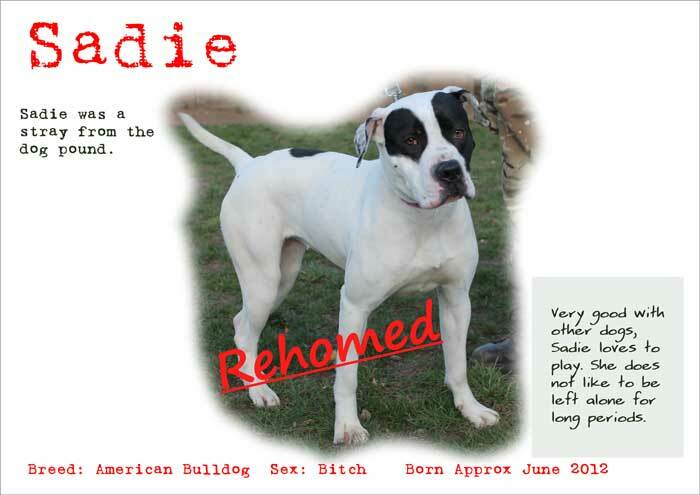 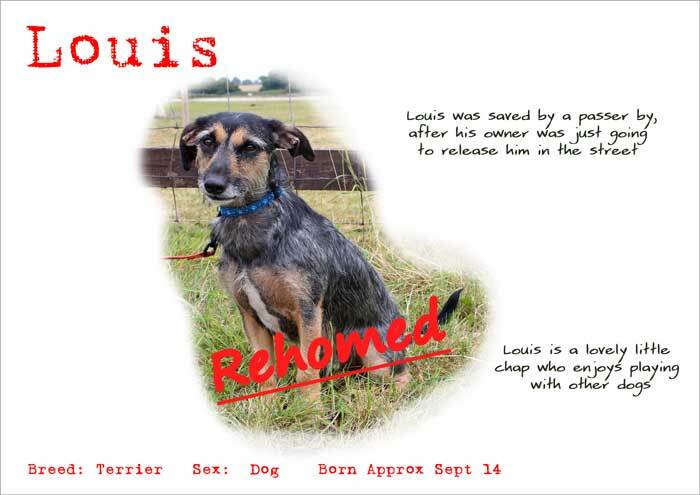 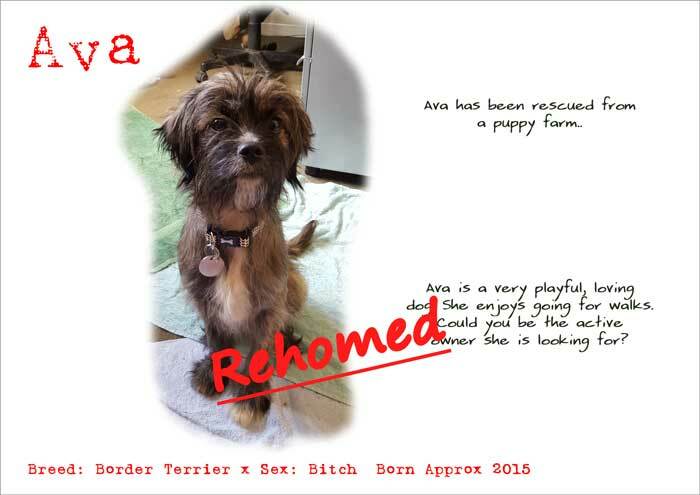 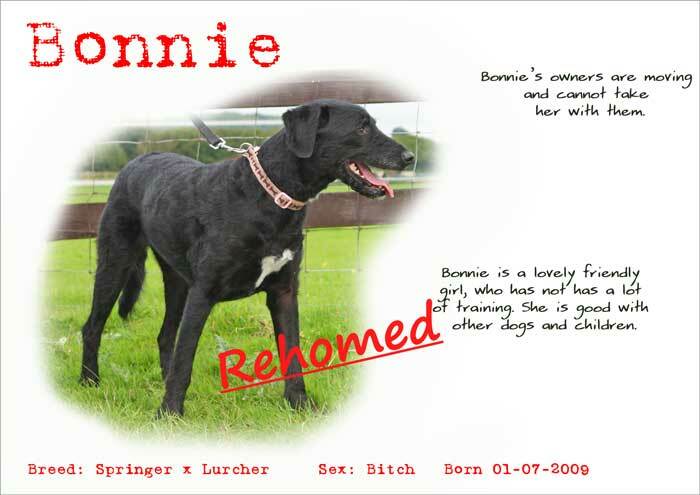 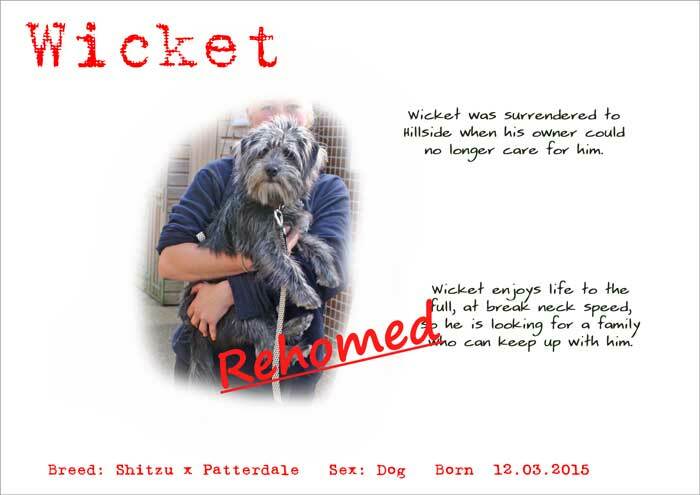 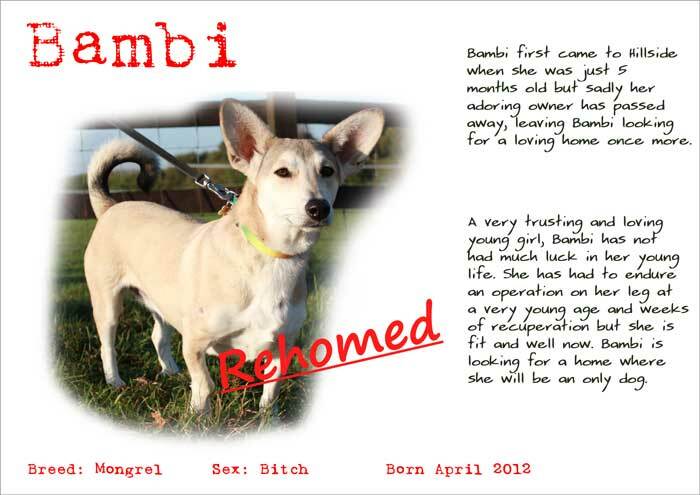 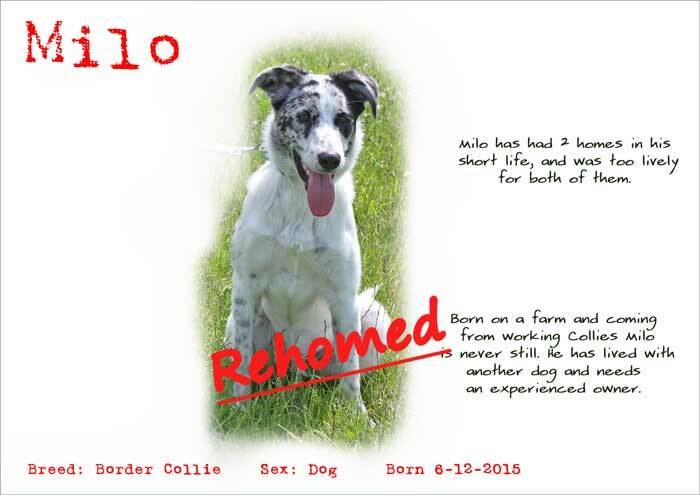 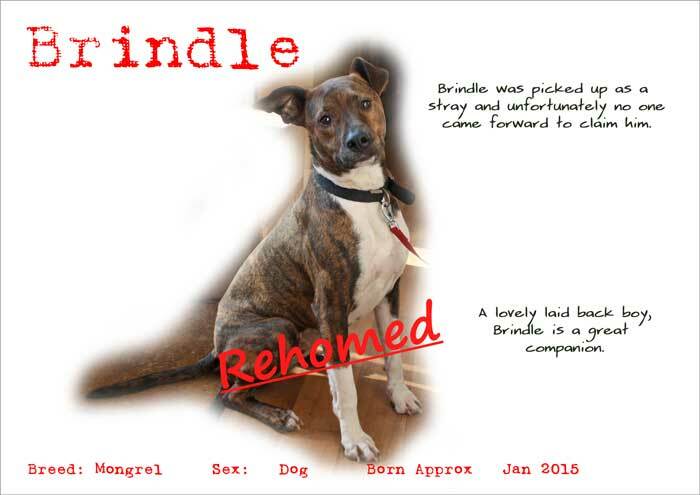 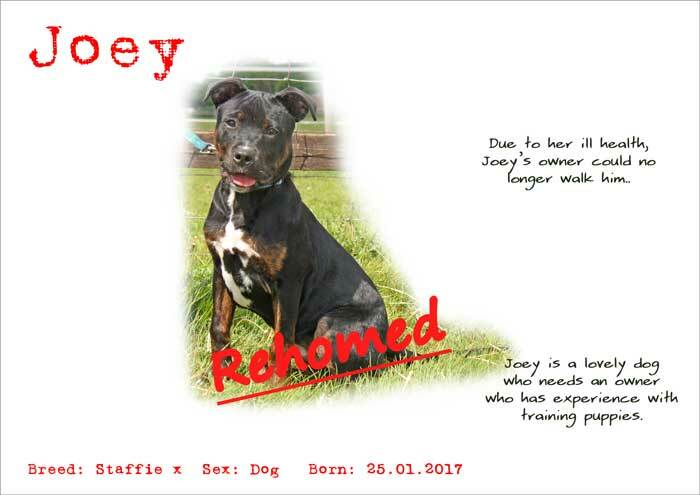 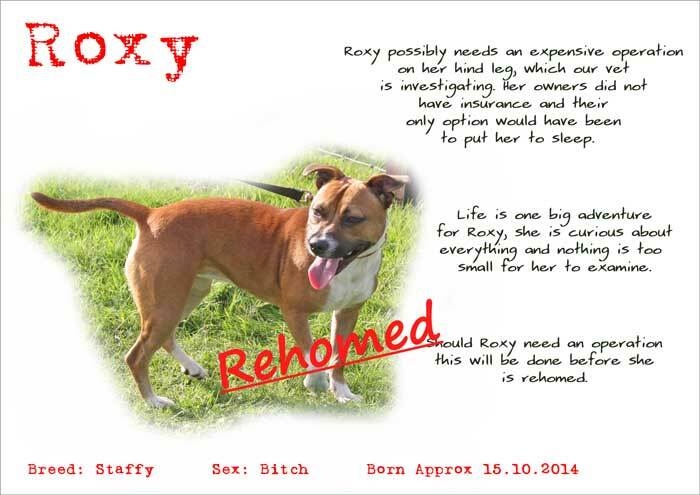 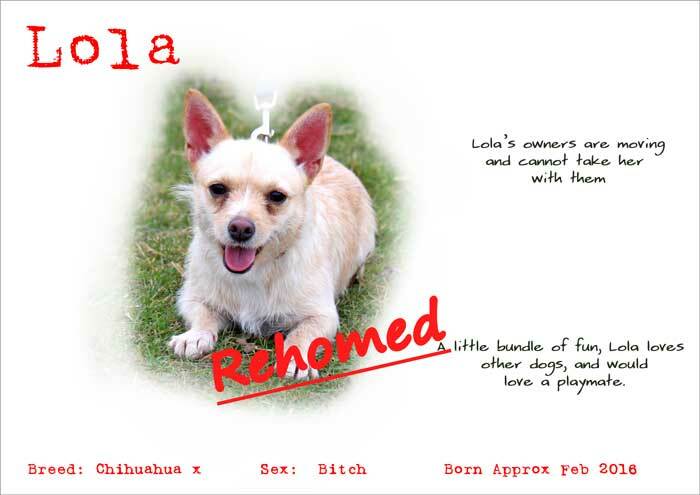 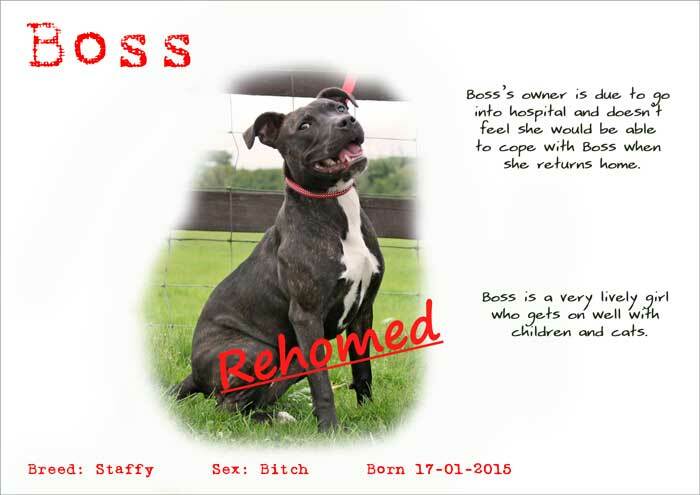 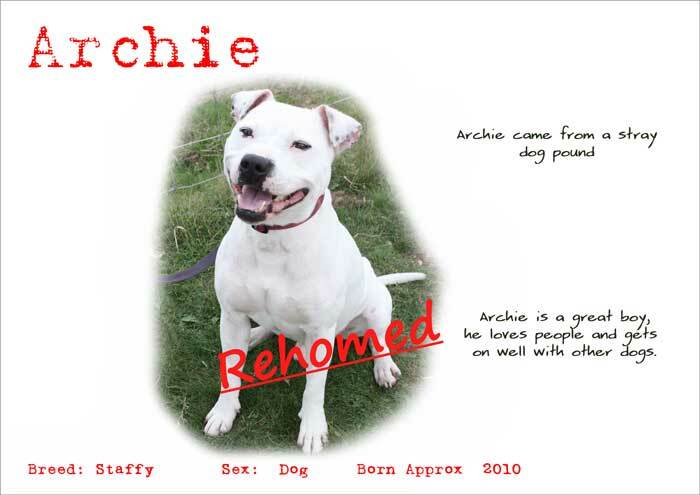 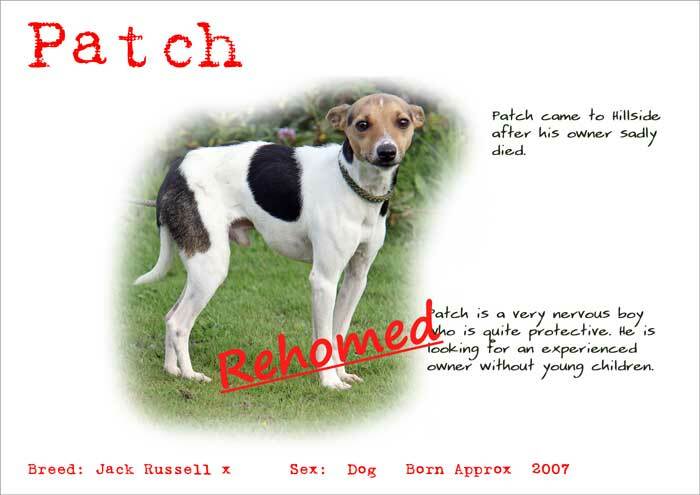 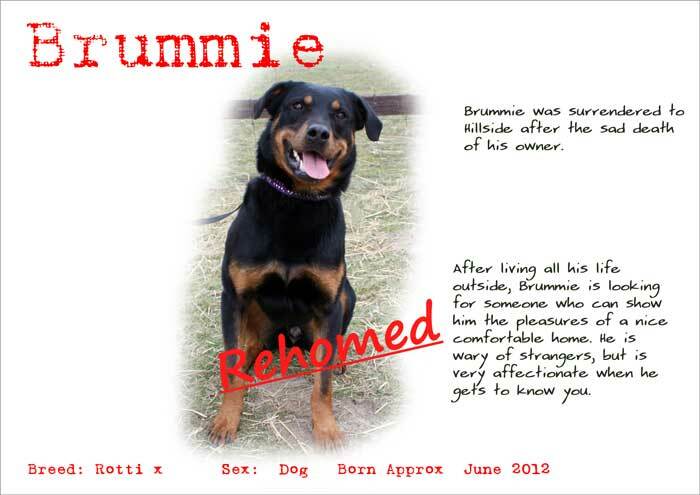 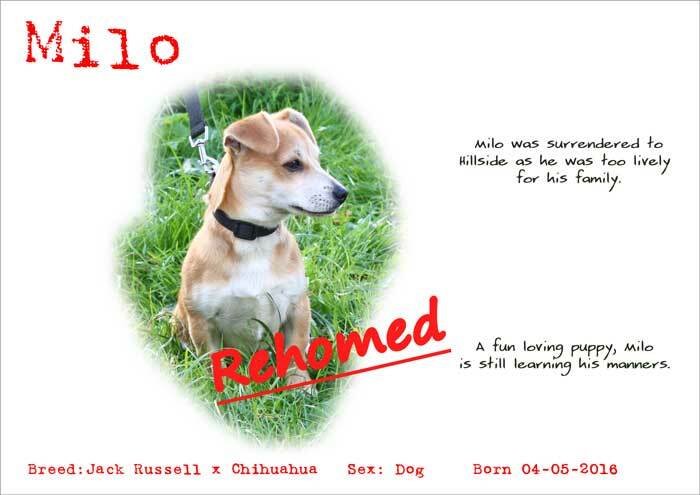 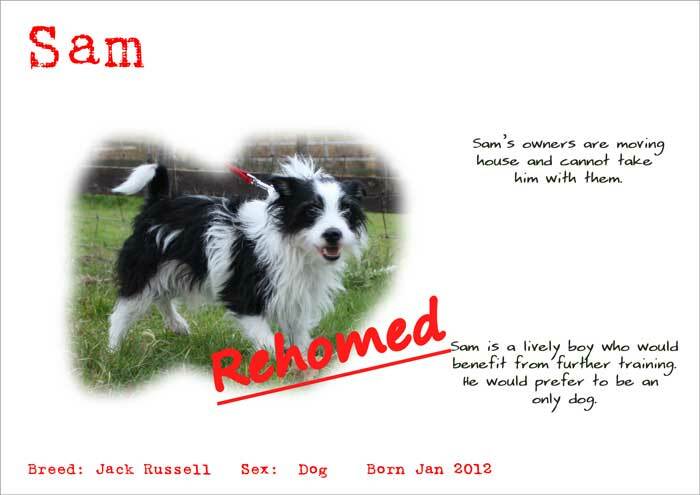 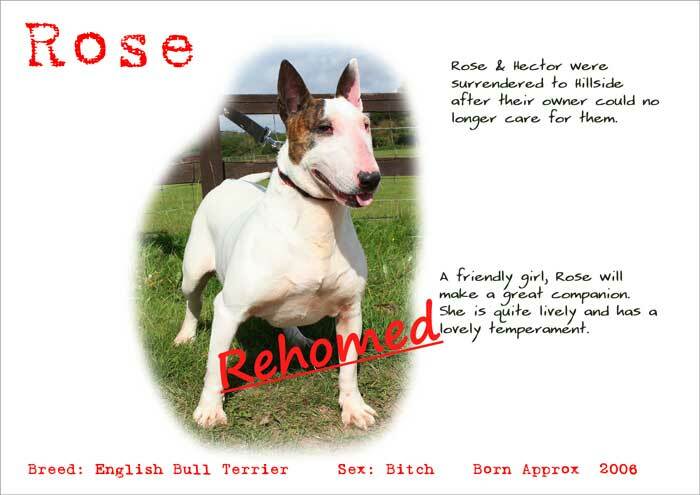 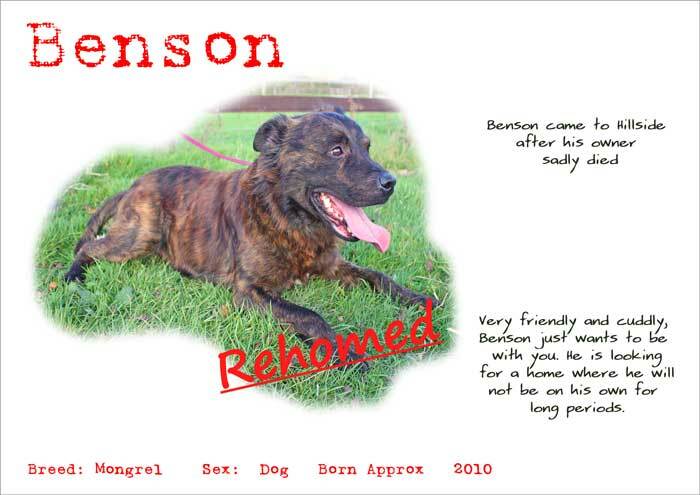 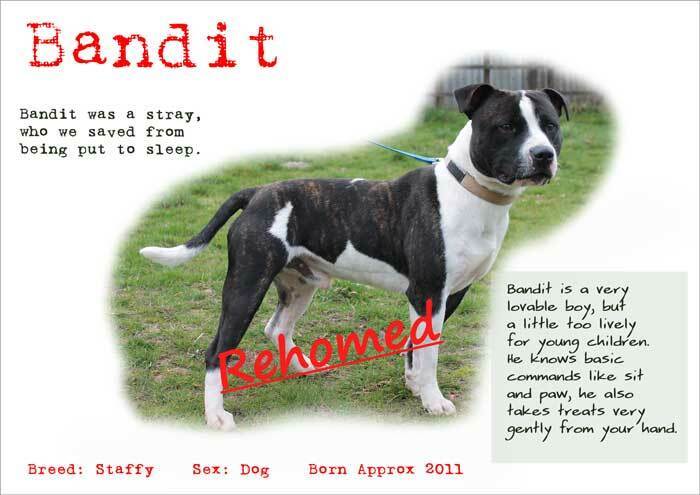 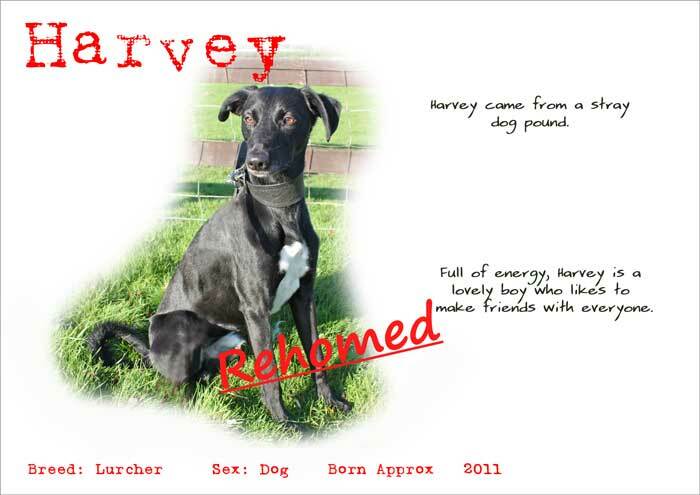 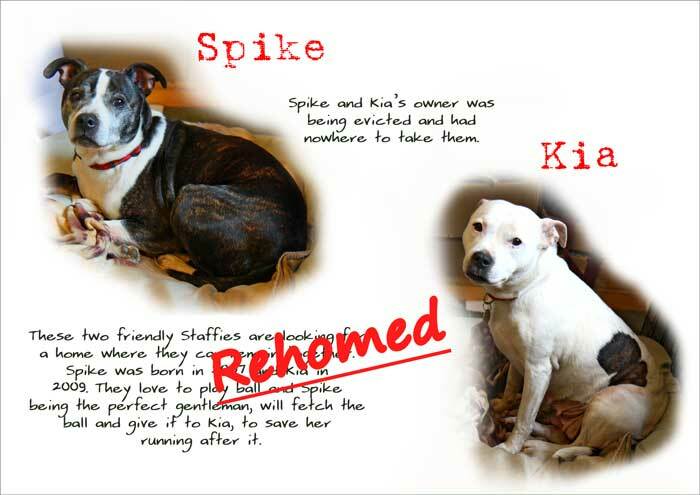 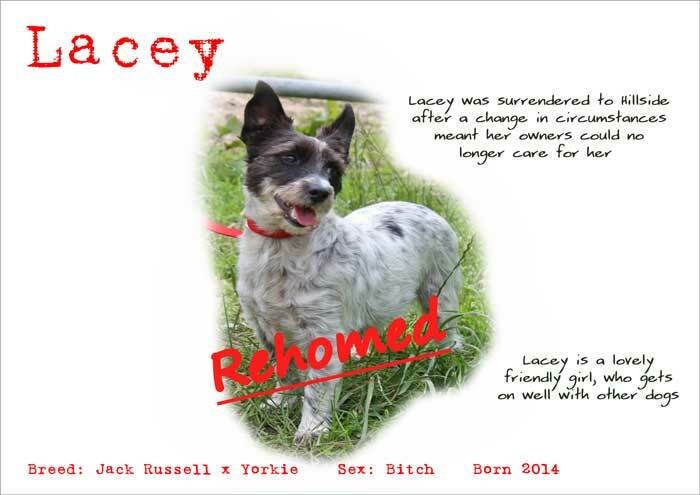 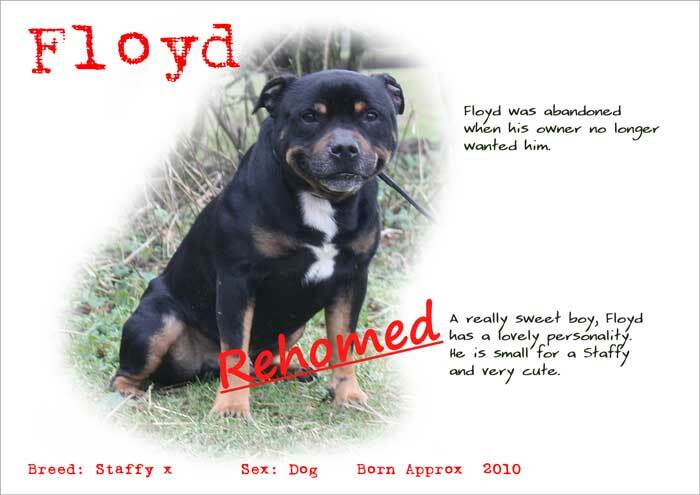 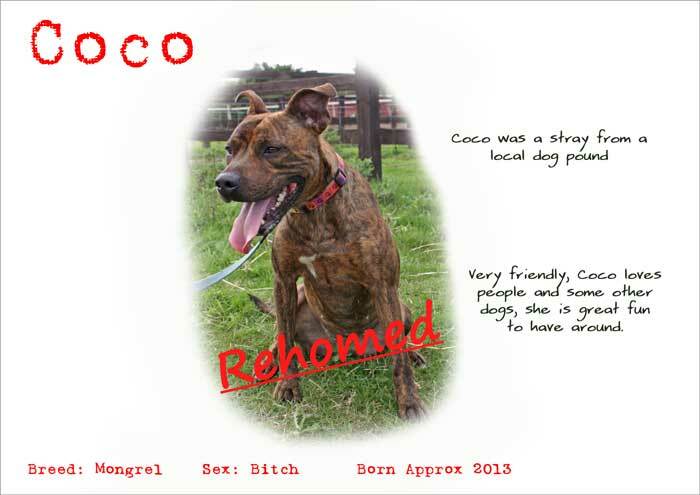 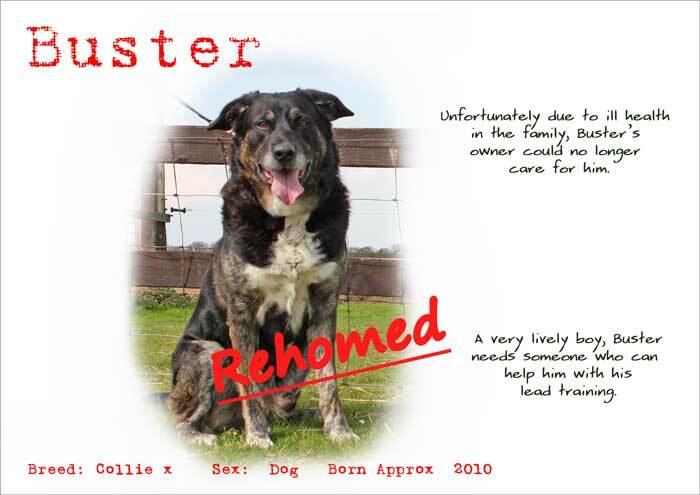 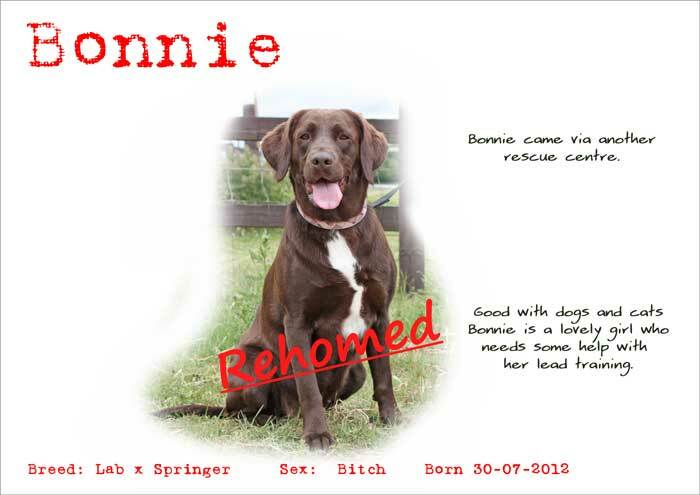 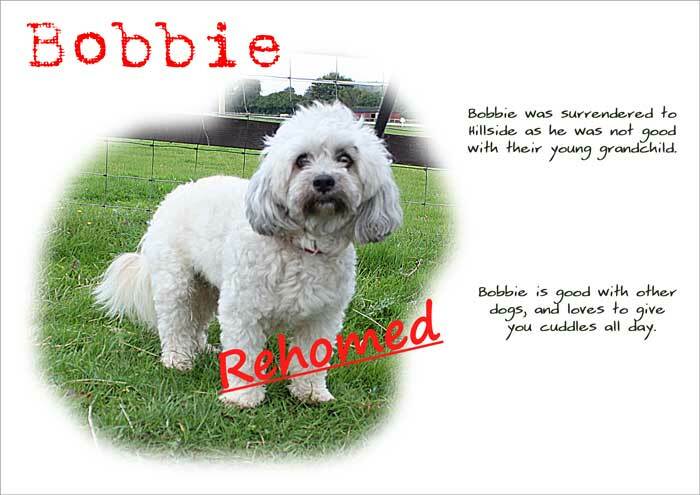 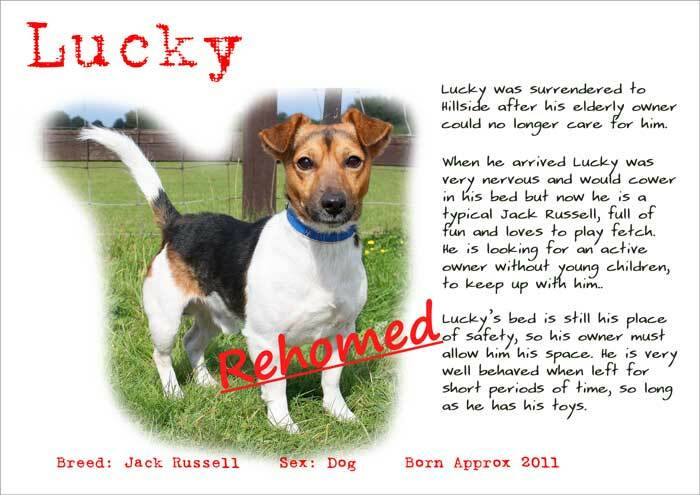 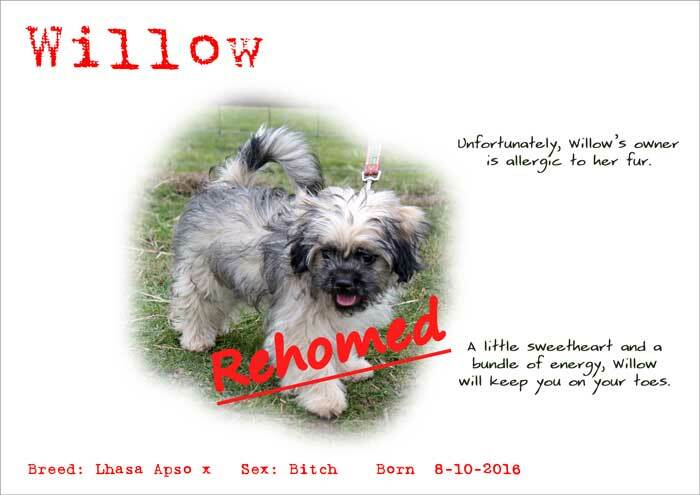 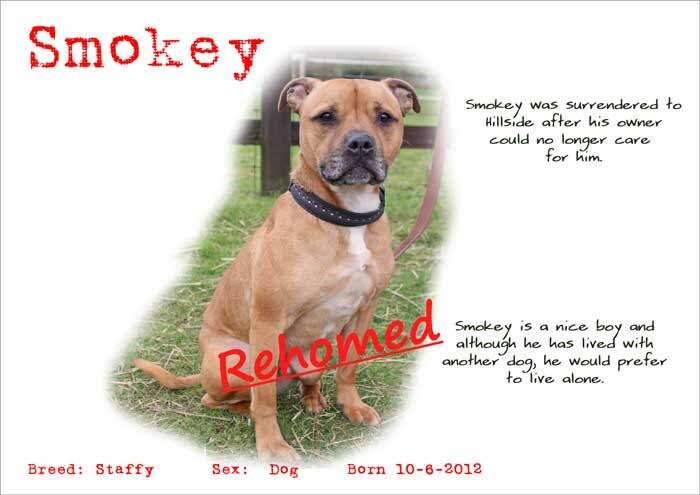 Adult dogs can be re-homed with families providing any children are over 8 years old. 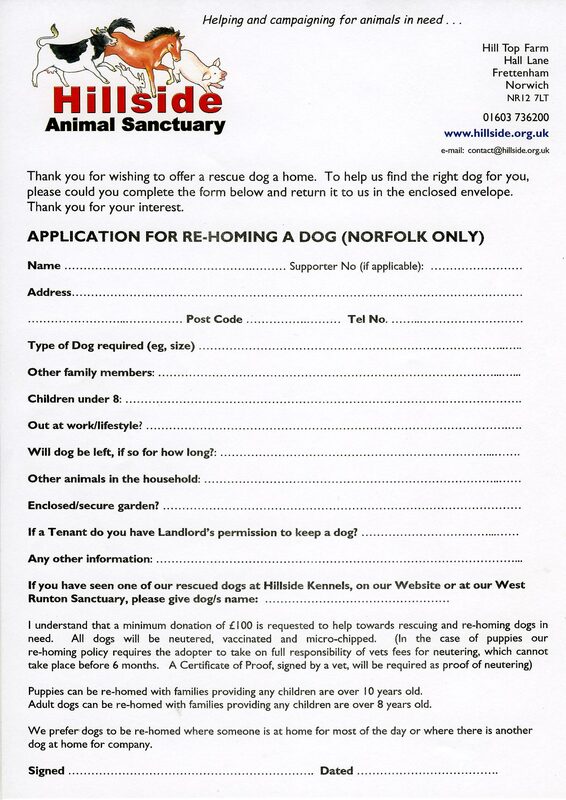 We carry out home checks on all potential adopters. 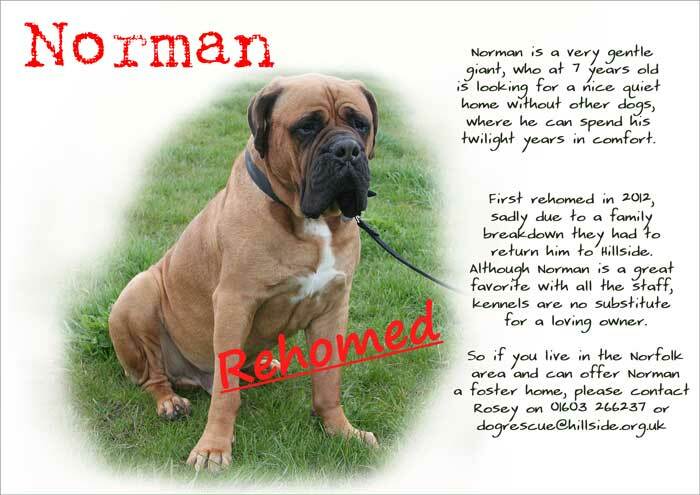 or where there is another dog at home for company.